We’re expecting more than 85 people to join us across 4 amazing days of panels, keynotes and workshops. Have a look at who’s coming! Sarah is the COO of Celebro Media Studios and was previously a senior manager in BBC News. 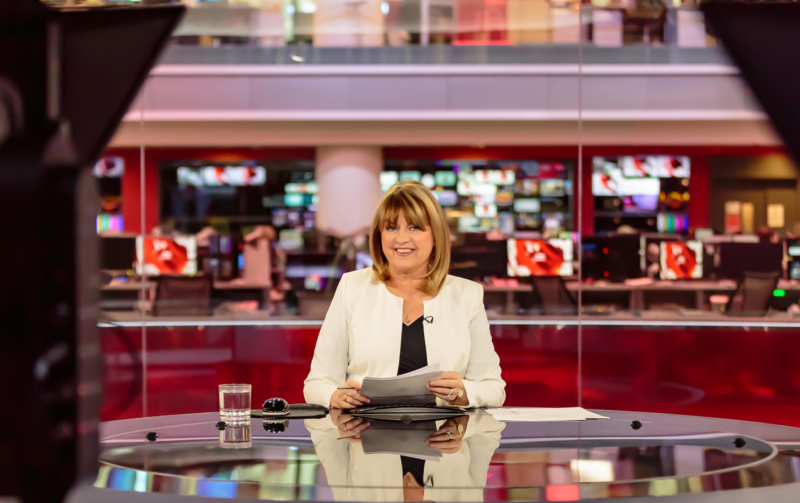 Sarah started working as a journalist for the BBC in 1989, and has focused on international news throughout her career. Sarah Gibson was elected President of the Worldwide Association of Women Journalists and Writers in 2016, at its Congress in Santiago, Chile. She’s the COO of Celebro Media Studios and was previously a senior manager in BBC News. Sarah started working as a journalist for the BBC in 1989, and has focused on international news throughout her career. She’s worked in Europe, Russia, the former Soviet Union and Australia, in radio, TV and digital. She co-founded the BBC’s Global Women in News staff network, and is a member of the University of Kent Council. Dr Helen Pankhurst is a leading women’s rights campaigner. Helen is great-granddaughter of suffragette leader, Emmeline Pankhurst and granddaughter of Sylvia Pankhurst. 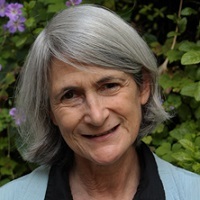 Dr Helen Pankhurst is a leading women’s rights campaigner and author of Deeds not Words, which charts how women’s lives have changed over the past century. Helen is great-granddaughter of suffragette leader, Emmeline Pankhurst and granddaughter of Sylvia Pankhurst. She is a senior adviser to CARE International, based in the UK and Ethiopia, where her work is focused on programme and policy in urban and rural development, water hygiene and women’s rights. Helen was an advisor and had a cameo role on the recent film, Suffragette. Elif Shafak writes in both Turkish and English, and has published 16 books, ten of which are novels. Her work has been published in 48 languages and has been reviewed by major publications around the world. Elif Shafak is an author and story teller, a British Turkish award-winning author, and the most widely-read female writer in Turkey. She writes in both Turkish and English, and has published 16 books, ten of which are novels. Her work has been published in 48 languages and has been reviewed by major publications around the world. 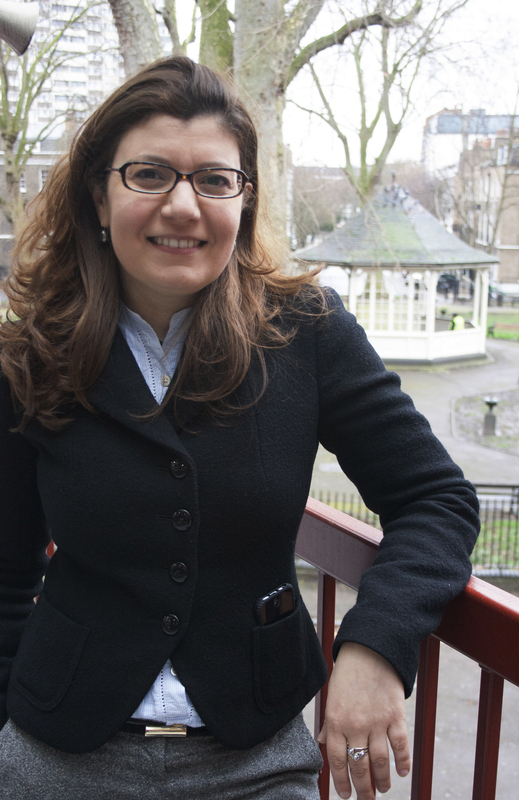 A political scientist and an academic, Elif has taught at various universities in the US and the UK, including Oxford University St. Anne’s College. As an advocate for women’s and LGBT rights and freedom of speech, she is also a public speaker and a twice TED Global speaker. Elif writes for numerous publications and was awarded the title of Chevalier des Arts et des Lettres by the French government. Fiona Campbell has just been appointed Head of Documentaries for BBC Studios. She is currently responsible for the department’s strategy to engage and build relationships with the youth audience on and off BBC platforms. Kate Grey competed in the 2008 Beijing Paralympic Games. She now works as Sports Broadcaster covering Paralympic, Women and Minority sports for the BBC, she also work in school and communities as an Athlete Mentor. 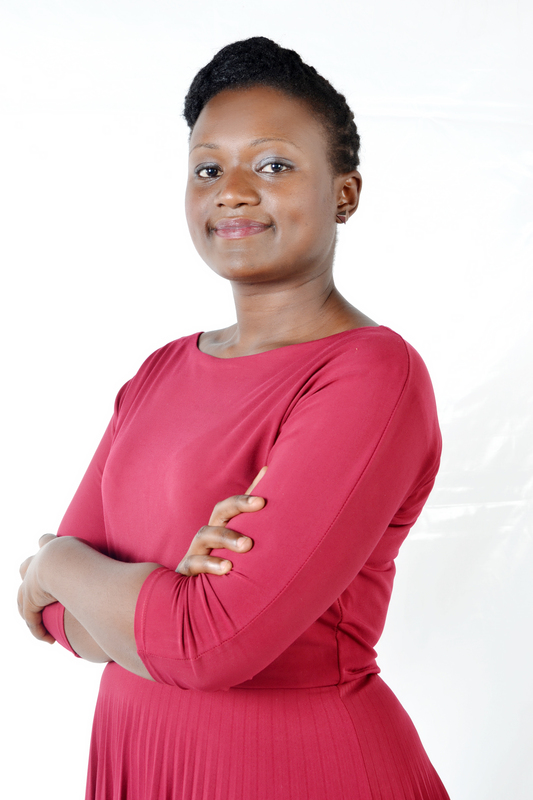 Catherine Byaruhanga is a BBC correspondent reporting on breaking news and investigative stories from East and Central Africa. She also co-chairs the Foreign Correspondents’ Association of Uganda (FCAU). Blathnaid Healy is based in the London bureau. She was previously UK Editor at Mashable, establishing the brand and opening its first office in London. Caroline Wyatt has worked as a BBC foreign correspondent and reported in places including Kosovo, Chechnya, and the wider Middle East for over 20 years. She became the BBC’s Defence Correspondent in 2007, moving to Religious Affairs in 2014. From Belfast in Northern Ireland, Maxine has been a journalist for 40 years, 20 as a senior BBC News anchor, working across the globe covering some of the major news events of the time including the assassination of Rajiv Ghandi, the Clinton Presidency, the Oklahoma bomb, the OJ Simpson trial. Ros Atkins is the creator and presenter of Outside Source and he’s also the creator and director of the 50:50 Project which aims to increase women’s representation in the media. Sharmaine Lovegrove is the Publisher of Dialogue Books, the UK’s first inclusive imprint, part of Little, Brown Book Club and Hachette UK. In 2008, Sharmaine set up her own bookshop as well as a creative agency in Berlin. Anabel Hernandez is a leading Mexican investigative journalist who has spent the last 15 years investigating drug trafficking cartels in Mexico and the corruption and abuses of the Mexican government. Dame Inga Beale is a British business leader with over three decades of experience in global financial services. 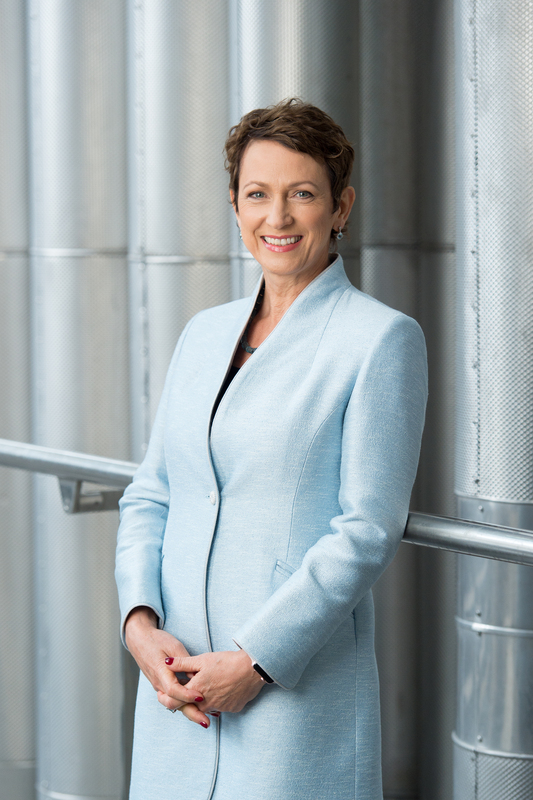 Most recently Inga led Lloyd’s of London, the first female Chief Executive in the organisation’s 330-year history. Charlie Brinkhurst Cuff is deputy editor at gal-dem, an online magazine written by women of colour. She’s a writer of news and features, editor and creative with focuses on race, feminism, media, youth culture and social politics. Hannah Ray is a journalist by trade. She worked for Guardian as the newsroom’s community coordinator, and later joined Instagram’s flagship editorial team as the company’s first international hire, launching six international Instagram accounts and Instagram Stories. Megha Mohan was recently appointed the BBC’s first Gender and Identity reporter. Her work focuses on digital subcultures and global issues with a focus on minority women and LGBT+ communities. 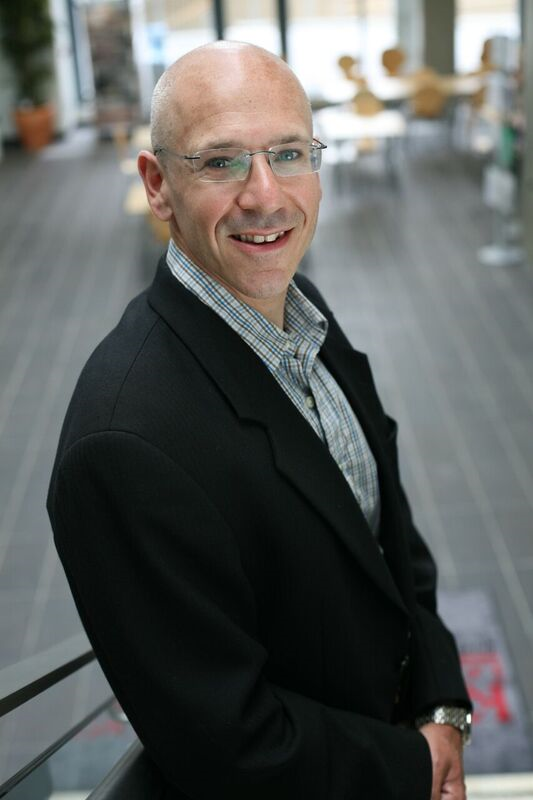 Professor Neil Greenberg has published more than 200 scientific papers and book chapters many of which are on occupational and traumatic stress management. Rachael Krishna is a Reporter for BuzzFeed News, based in London. She has reported extensively on Gen Z, internet culture and how these come together in communities around the world. Fiona Campbell has just been appointed Head of Documentaries for BBC Studios, starting next month. 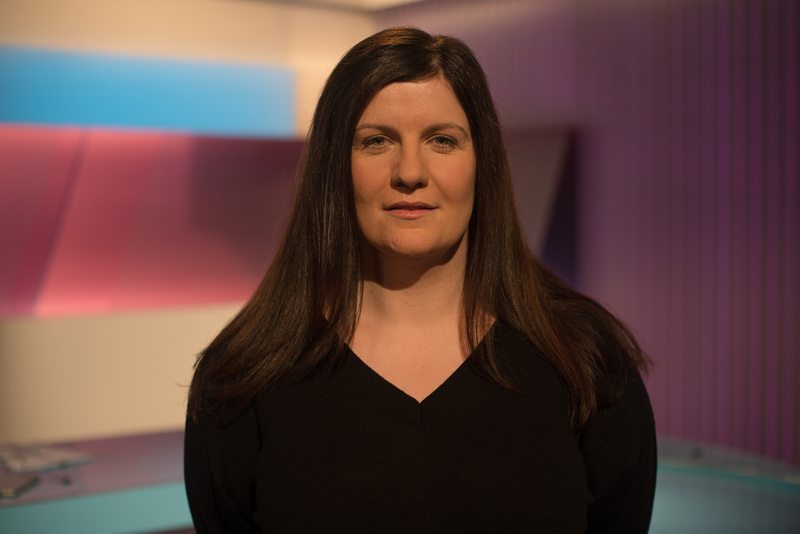 She is currently the Director, Digital BBC News, and is responsible for the department’s strategy to engage and build relationships with the youth audience on and off BBC platforms. Fiona created the BBC Stories content strand, curating the best of pan-BBC content that appeals to women, the young and the less well-off and puts particular emphasis on the value of community building and listening. 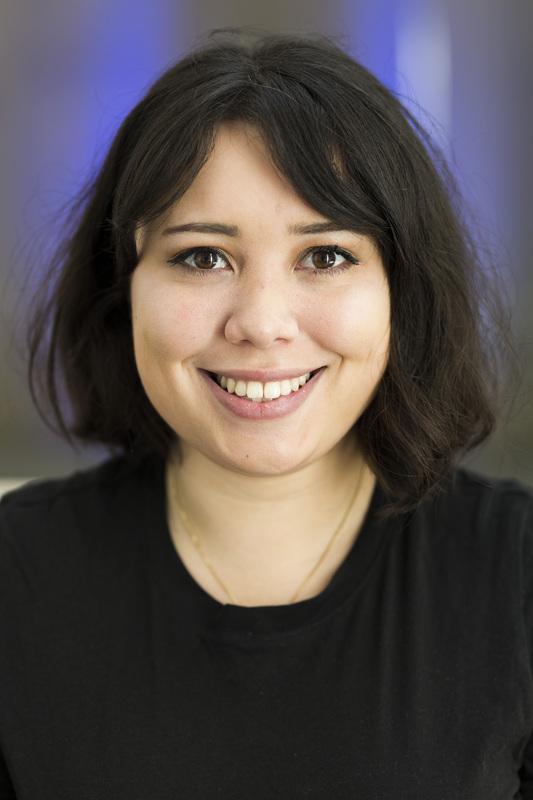 Fiona also oversees Radio 1 Newsbeat and chairs the Pan BBC Social Media Strategy Group which advises on the Corporation’s presence and contracts with third party platforms. She is responsible for the BBC News presence on iPlayer and the audio platform BBC Sounds. Kate Grey is a former Paralympic swimmer who now works as a broadcaster and mentor. She represented Great Britain for ten years, competing as a swimmer at European and World Championships. The highlight of her career was competing in the 2008 Beijing Paralympic Games. 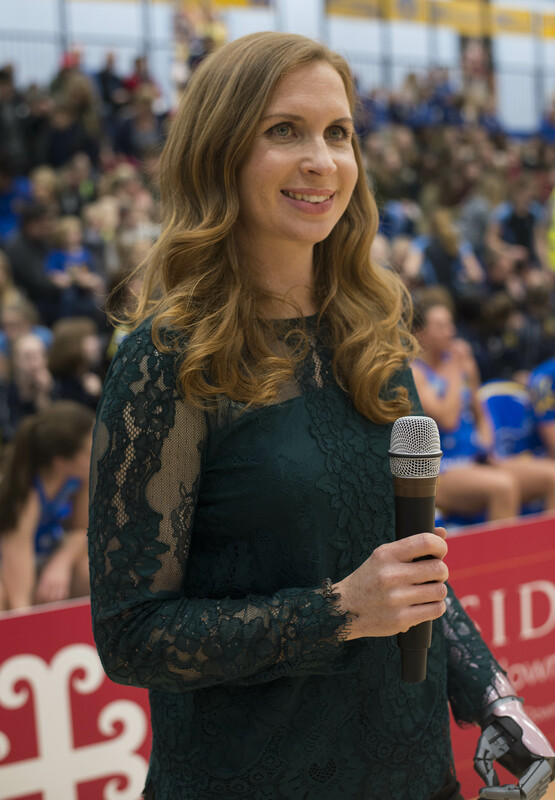 Since retiring from swimming Kate now works as Sports Broadcaster covering Paralympic, Women and Minority sports for the BBC, she also work in school and communities as an Athlete Mentor. Catherine Byaruhanga is a BBC correspondent reporting on breaking news and investigative stories from East and Central Africa, such as uncovering allegations of sexual abuses by the Ugandan army in the Central African Republic; unpaid African Union Peacekeepers in Somalia as well as gaining rare access to conflict areas in the Democratic Republic of Congo and South Sudan. Over the last ten years Catherine has built a strong body of work reporting and producing major programmes for the BBC World Service. She also co-chairs the Foreign Correspondents’ Association of Uganda (FCAU), which champions press freedom in Uganda. Catherine is passionate about the role of female journalists and mentors young women reporters. 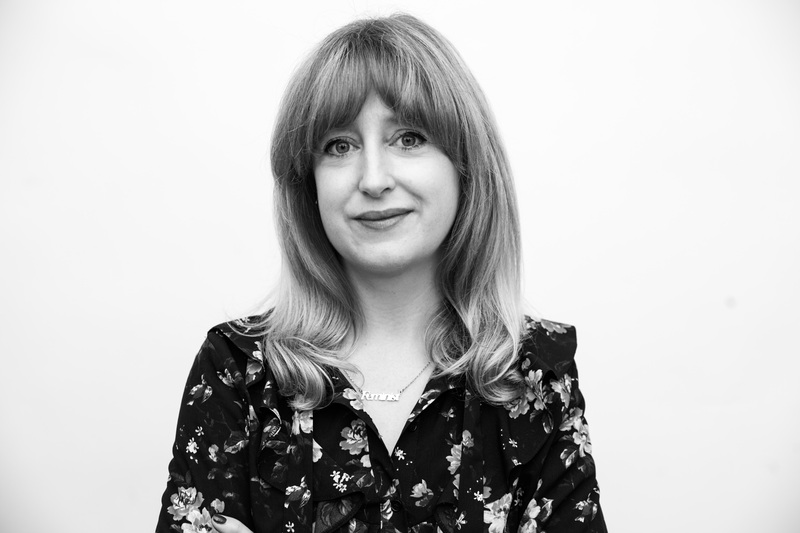 Blathnaid Healy is Director EMEA, CNN Digital International, based in the London bureau. She was previously UK Editor at Mashable, establishing the brand and opening its first office in London. Before that, Blathnaid was Chief Operating Officer of WorldIrish, a startup focused on the Irish diaspora where she led a team of journalists based in Ireland, the UK and the US. She spent almost five years working at Ireland’s largest media company RTE as a multimedia journalist where she also set up the broadcaster’s first dedicated social media team and project managed output for several high-profile news events across web, mobile and social media. 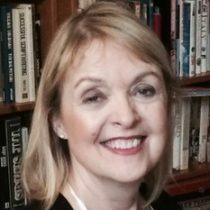 Maxine Mawhinney is an award winning journalist, broadcaster, writer and host of her own interview programme ‘The Moment with Maxine Mawhinney’. From Belfast in Northern Ireland, Maxine has been a journalist for 40 years, 20 as a senior BBC News anchor, working across the globe covering some of the major news events of the time including the assassination of Rajiv Ghandi, the Clinton Presidency, the Oklahoma bomb, the OJ Simpson trial. She was the BBC news anchor during the night of the death of Diana Princess of Wales. Maxine has twice been a TEDx speaker. Ros Atkins is the creator and presenter of Outside Source which simulcasts on BBC News Channel in the UK and on BBC World News elsewhere. He’s also the creator and director of the 50:50 Project which aims to increase women’s representation in the media. 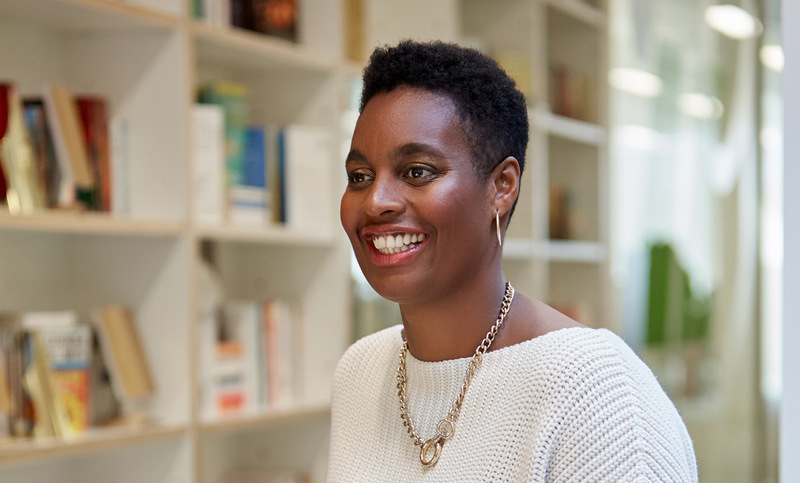 Sharmaine Lovegrove is the Publisher of Dialogue Books, the UK’s first inclusive imprint, part of Little, Brown Book Club and Hachette UK. 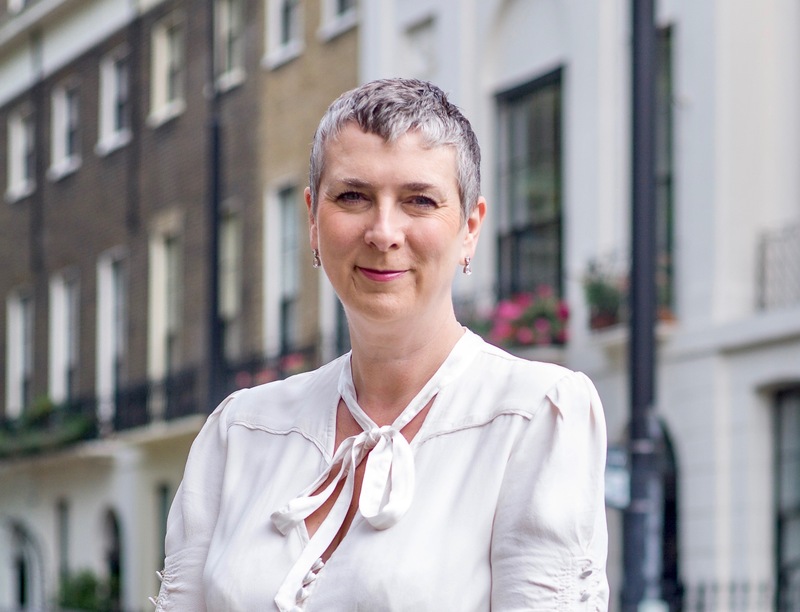 Prior to going in-house, Sharmaine was the co-founder and Publishing Director of Dialogue Scouting, the UK’s book-to-film & TV scouting consultancy. She was also ELLE’s Literary Editor. In 2008, Sharmaine set up her own bookshop as well as a creative agency in Berlin. 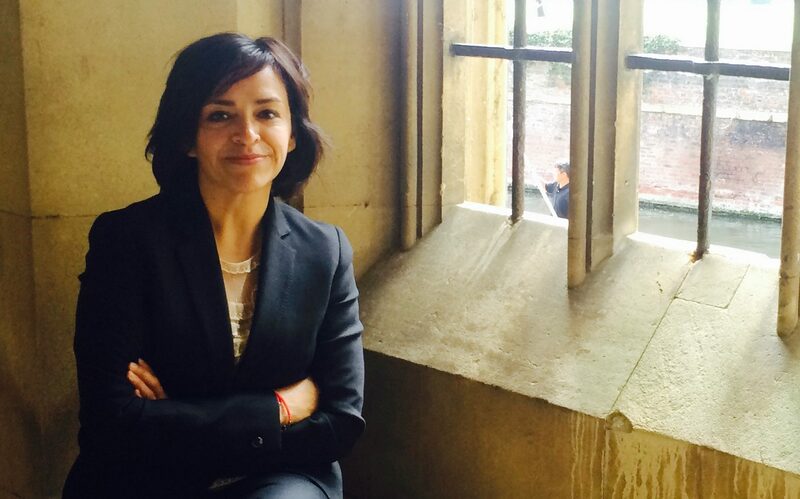 Anabel Hernández is a leading Mexican investigative journalist who has spent the last 15 years investigating drug trafficking cartels in Mexico and the corruption and abuses of the Mexican government. She has written many books, notably Los Señores del Narco, published in English in 2013 as Narcoland: The Mexican drug lords and their godfathers. In 2018 she published A Massacre in Mexico: The True Story Behind the Missing Forty Three (Verso books) – an in-depth investigation into the disappearance of students from a rural school in Mexico in 2014, which reveals collusion between government and local officials with drug trafficking and drug lords. Throughout her career, she and her family have been subject to attacks and intimidation, so far unpunished. Anabel has received several national and international journalism prizes and in 2014 was named by Reporters Without Borders as one of the world’s 100 information heroes. Dame Inga Beale is a British business leader with over three decades of experience in global financial services. She was appointed Dame Commander of the Order of the British Empire in the 2017 New Year Honours. 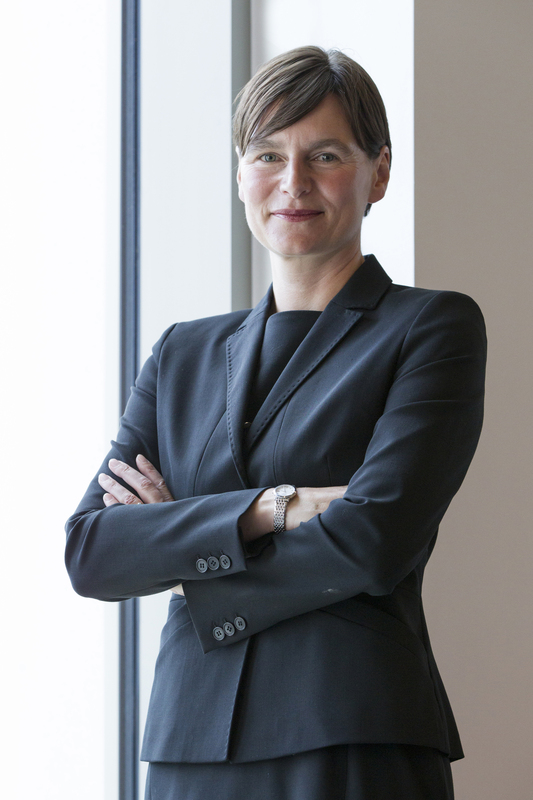 Most recently Inga led Lloyd’s of London, the first female Chief Executive in the organisation’s 330-year history. During her five year tenure, Inga was responsible for accelerating Lloyd’s modernisation, expanding global access, and delivering Lloyd’s strongest capital position ever following the sector-wide major losses of 2017. She also played a critical role in advancing diversity and inclusion initiatives across the global insurance sector, including the Dive In Festival – the only sector-wide diversity and inclusion festival in the world. Inga has served on several national and international boards. She is currently Patron of Insuring Women’s Futures, and a member of the UK Department for Education’s Business Advisory Group, the London Mayor’s Business Advisory Board, the UK Government’s Public Service Leadership Taskforce, and the England Rugby Football Union Try for Change Board. 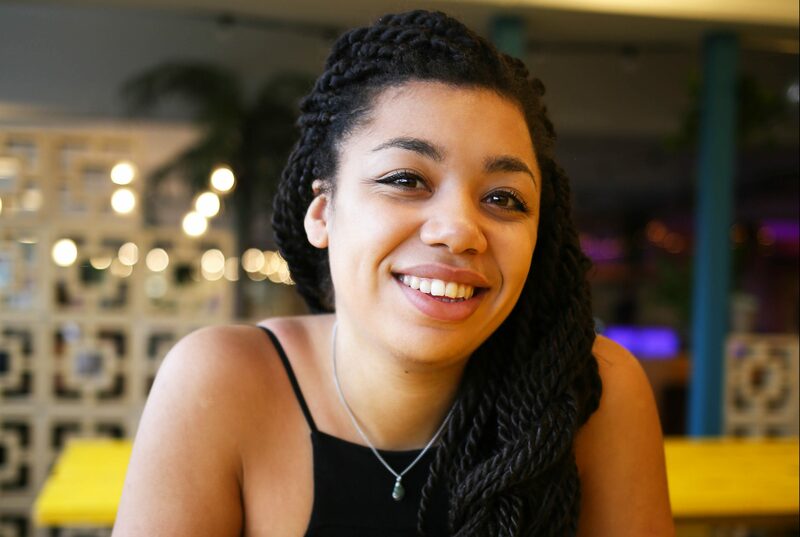 Charlie Brinkhurst-Cuff is deputy editor at gal-dem, an online magazine written by women of colour. She’s also a columnist at iPaper and a freelance journalist for publications including the Guardian. She’s a writer of news and features, editor and creative with focuses on race, feminism, media, youth culture and social politics. Charlie is an alumnus of the Scott Trust Bursary, and winner of the 2017 Georgina Henry Award for Innovation in Journalism. Hannah Ray is head of Social Strategy and Storytelling for Vogue International and Condé Nast International. 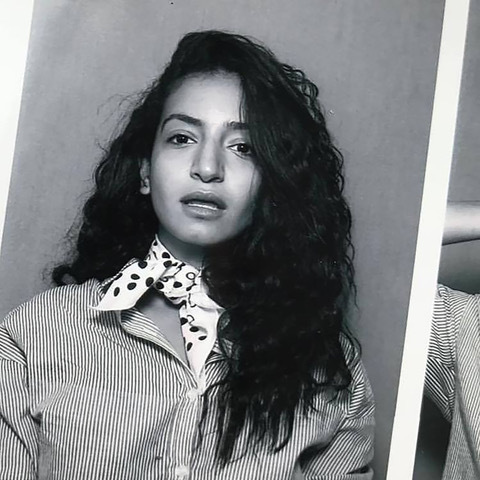 A journalist by trade, she worked for Guardian as the newsroom’s community coordinator, and later joined Instagram’s flagship editorial team as the company’s first international hire, launching six international Instagram accounts and Instagram Stories. At CNI, she launched @vogue in May this year. She provides editorial social strategy and content for 22 Vogue international Instagram accounts to elevate the title’s presence on visual platforms. Her passion is finding new ways of telling stories to connect people. She freelances as a community consultant and trainer for clients such as the BBC, Tate and Art Fund UK. Megha Mohan was recently appointed the BBC’s first Gender and Identity reporter. Her work focuses on digital subcultures and global issues with a focus on minority women and LGBT+ communities. Meghan’s reports have included Secret World: The women in the UK who can not report abuse and Why transgender Africans turned against a famous feminist. 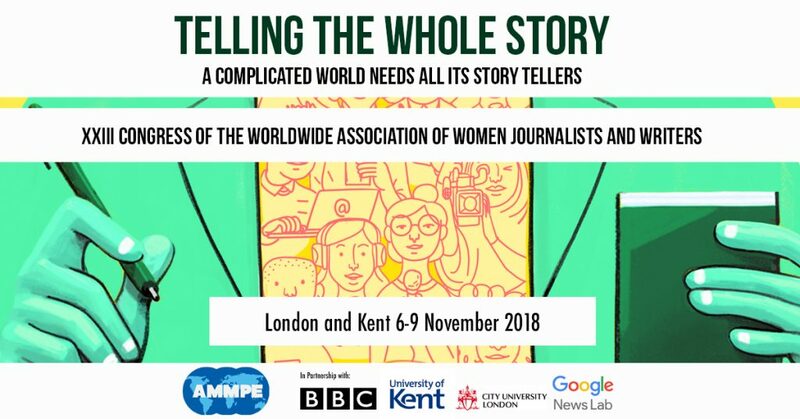 She has also spoken publicly about women in journalism and regularly features on BBC News TV, the World Service and Radio 4. Professor Neil Greenberg is a consultant academic psychiatrist at King’s College London. He served in the United Kingdom Armed Forces for more than 23 years and has deployed to a number of hostile environments. Neil has published more than 200 scientific papers and book chapters many of which are on occupational and traumatic stress management. 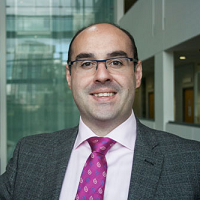 He is a past President of the UK Psychological Trauma Society, the Royal College of Psychiatrists Lead for Military and Veterans’ Health and runs March on Stress, a psychological health consultancy which aims to promote better mental health within organisations. Rachael Krishna is a Reporter for BuzzFeed News, based in London. She has reported extensively on Gen Z, internet culture and how these come together in communities around the world. Her work has covered everything from memes and video games to online harassment campaigns and fandoms. Most recently, Rachael reported from South Korea, where she made a documentary on plastic surgery clinics, starred in a video about K-Pop training schools, and wrote a feature on Korea’s online feminist movement. Julia Martinez is a journalist and lecturer at the Faculty of Communications at the Universidad Católica in Chile. She is a former President of AMMPE and she organised the 2016 Congress. Julia Martinez is a journalist and lecturer at the Faculty of Communications at the Universidad Católica in Chile. She is a former President of AMMPE and she organised the 2016 Congress. As a journalist, Julia worked for TV and radio. After more than 10 years at the BBC in London, she returned to Chile in 1995, and moved to the UC. In 2011, Banu Güven was dismissed from the news channel NTV, where she had presented late night and prime time news for 14 years. She wrote an open letter to the ex-prime minister Erdoğan, addressing his tightening grip on media. Banu Güven is a Turkish TV journalist and columnist. In 2011 she was dismissed from the news channel NTV, where she had presented late night and prime time news for 14 years. She wrote an open letter to the ex-prime minister Erdoğan, addressing his tightening grip on media. IMC TV, where she’d been a news presenter and documentary maker, was closed under emergency rule in 2016. Since then, Banu has contributed to several international media and teaches media at various universities. She is a member of the International Press Institute, the Association for Freedom of Expression in Turkey and various journalist advocacy groups. Banu holds many awards, including the Henri Nannen Sonderpreis for Outstanding Performance in Journalism in 2017. She is a former English PEN Writer in Residence. Dorothy Byrne is Head of News and Current Affairs at Channel Four television. Films she has commissioned have won numerous international Emmy, BAFTA and RTS awards. Dorothy Byrne is Head of News and Current Affairs at Channel Four television. Films she has commissioned have won numerous international Emmy, BAFTA and RTS awards. She is a Fellow of The Royal Television Society and, in 2018, won the Outstanding Contribution Award at the Royal Television Society Journalism awards. She has also been awarded Scottish BAFTA and Women in Film and Television awards for her contribution to television journalism. She is a Visiting Professor at Leicester De Montfort University. In 2018 she was awarded an Honorary Doctorate of Letters by Sheffield University. She began her TV career at Granada where she was a producer/director on World In Action. Zahera was a TV journalist in her native country Lebanon, reporting for local and international organisations and anchoring news and current affairs programmes. Zahera was a finalist of the Asian Women of Achievement Awards, 2018. Before coming to City, Tom has worked for a decade as a reporter covering politics and as a regional correspondent at the Independent in Dublin, as Bureau Chief for the Leb News Agency in Beirut, and as Deputy Editor of the Irish Echo in Sydney. Professor Suzanne Franks is head of the department of Journalism at City, University of London. She started her career as a BBC TV trainee, and moved to work on programmes such as Newsnight, Watchdog, The Money Programme and Panorama. 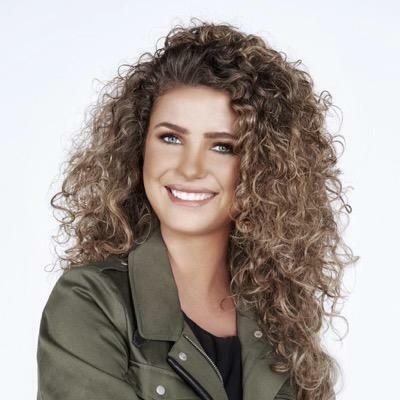 Rima Maktabi is a Lebanese TV presenter and award-winning journalist, and is currently the London Bureau Chief for the pan Arab channel Al Arabiya. Before this, Rima hosted CNN’s monthly program Inside the Middle East for two years. Professor Sir Paul Curran is President of City, University of London. 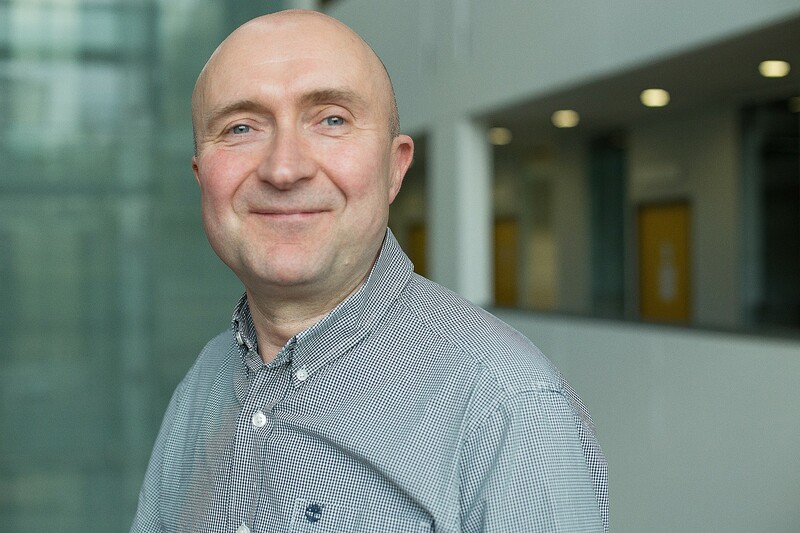 A former former NASA research scientist and advisor to the European Space Agency (ESA), his award-winning work in ecological Earth observation, involving the use of satellite sensors to monitor the environment, is published widely. Lindsey specializes in human rights representation in news, with a special emphasis on gender. She has largely focused on how sexual violence against women is portrayed in traditional and new media. Kate Kinninmont is CEO of Women in Film and Television UK. 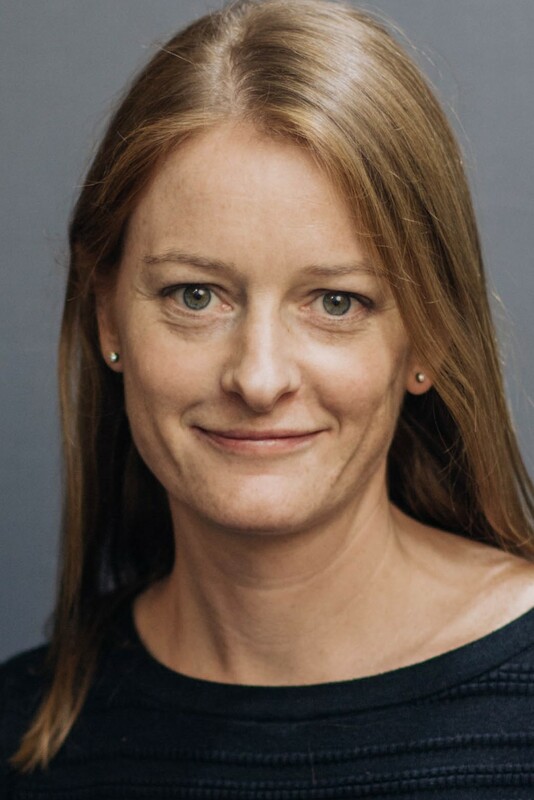 A BBC trained award-winning TV producer and director, Kate is a member of BAFTA, the Royal Television Society, Women in Journalism, and Directors UK. Professor Singer is especially interested in the impact of digital media on journalists’ roles, norms, practices and products. A former print and online journalist, she has been studying journalists’ responses to digital technologies since the mid-1990s. 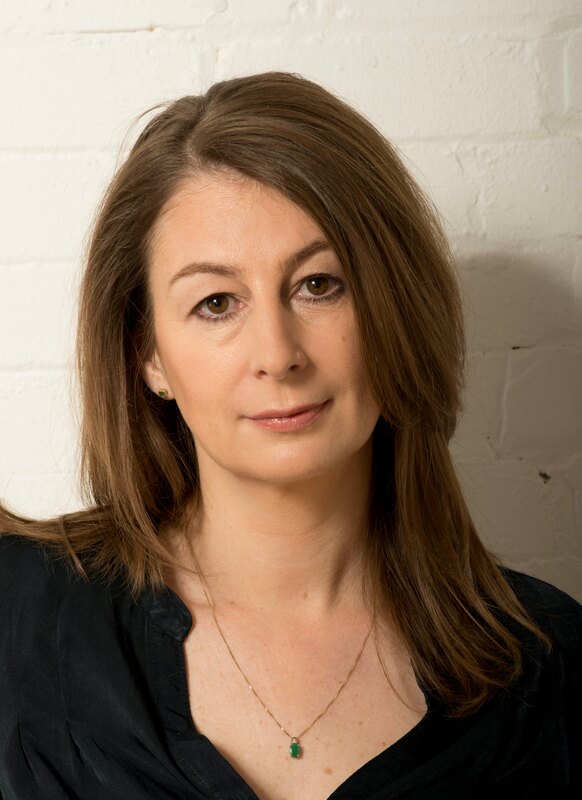 Jane spent 18 years as a member of the award-winning senior editorial leadership team at the Guardian, and her career included stints as city news editor and several years writing her own weekly interview slot, before becoming media editor and then head of media. Greta Gober’s research interests revolve around gender, journalism & media, gender relations and culture in organisations as well as gender based violence, cyber violence and online harassment. Before moving into academia, Dina had worked as a journalist and editor in the Middle East, Europe, Asia and the US. She is keen on bringing a non-Western approach to the theorisation and study of communication in its diverse forms, through focusing on the dynamics between media practices and socio-political contexts. Carly Watson is a News Editor for ITV News working both in the ITN newsroom and also in the field. She previously worked as Producer for GMTV and a freelance online producer for Reuters Thomson. 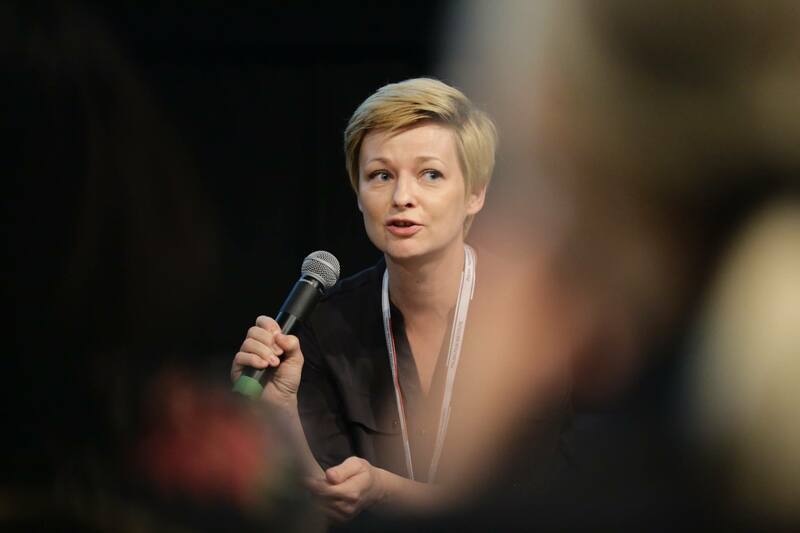 Anna-Klara Bratt is a Swedish journalist and editor-in-chief of Feministiskt Perspektiv, an online magazine which has more than 2,000 subscribers. Its open access articles reach over 100,000 readers monthly. Arzu Geybulla (Kurtulus)focuses on human rights and press freedom in Azerbaijan. Her work has been featured in several international publications, and she is the recipient of the 2014 Vaclav Havel Journalism Fellowship from Radio Free Europe/Radio Liberty. Barbara Trionfi has a background in international relations and human rights, and her expertise is focused on press freedom, freedom of expression, including self-regulatory media accountability systems, safety of journalists and international mechanisms to protect press freedom. Caroline Bannock is The Guardian’s editor for Community and User Generated content, overseeing participatory journalism with readers. Before this she launched GuardianWitness, the newspaper’s award-winning open journalism platform, where readers from around the world submit videos, images and stories directly to journalists. Jennifer Adams is Media Freedom Project Officer in the Office of the OSCE Representative on Freedom of the Media, based in Vienna. She specialises in programme management and development, communications and policy research for internet governance, digital participation and community-building. 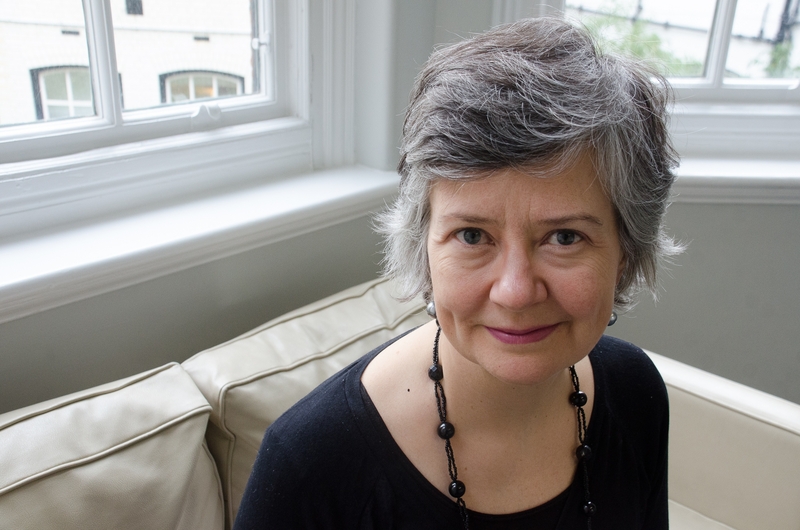 Dr Julie Wheelwright is the programme director of the MA, Creative Writing non-fiction. A former print and broadcast journalist, she has written widely on women in the intelligence services and in the military. Louise has more than 25 years’ experience as a journalist in TV, radio and online. She’s currently managing editor of Sky News. She was previously editor of IRN which provides news for more than 300 UK commercial radio stations. 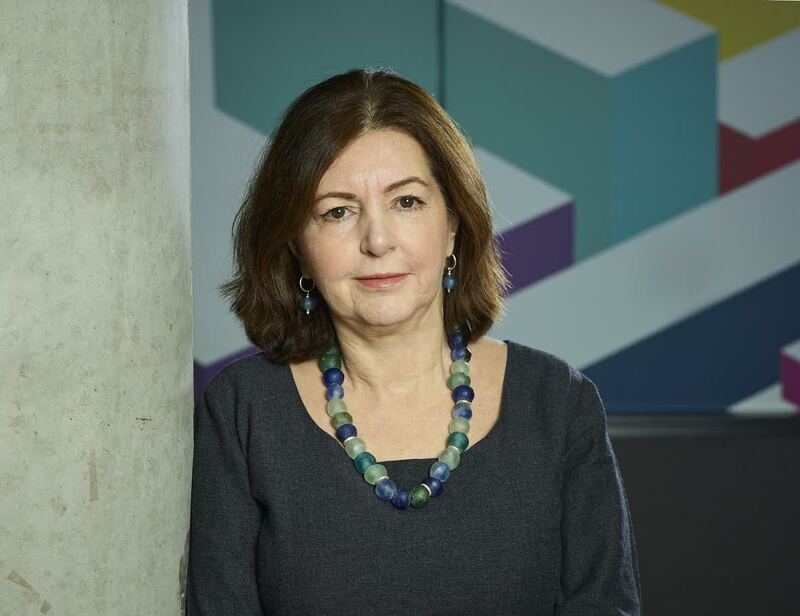 Professor Lis Howell heads the Expert Women project which counts the number of women experts and authority figures used on six UK flagship news programmes. She is also an award winning television journalist and was Director of Broadcasting at City. Before joining City, Richard Evans presented Newsbeat on BBC Radio One for 12 years, on BBC Radio Five Live for thirteen years and has reported at home and abroad for BBC radio and television. Saoussen Ben Cheikh leads a programme to support human rights and freedom of expression in the most closed and conflict-stricken contexts. Verónica López is a Chilean journalist and publisher who has founded more than ten magazines in her country and abroad. She teaches journalism and is former secretary of the Women’s Association of Chilean Journalists. 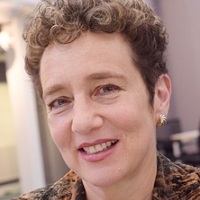 Susan L. Greenberg’s research focuses on narrative non-fiction, particularly our understanding of objectivity and subjectivity, and on publishing history and editorial practices. Professor Liu is has had professional experience working in radio and TV. As well as collaborating with many international academic institutions, she is on the board of Radio Taiwan International, and is a member of the Media Ethics Commission of CTS, TVBS, and Eastern TV Channel. Zahera Harb is senior lecturer in International Journalism at City, University of London. She is the author of Channels of Resistance: Liberation Propaganda, Hezbollah and the Media, co-editor of Narrating Conflict in the Middle East: Discourse, Image and Communications Practices in Lebanon and Palestine and editor of Reporting the Middle East, the Practice of News in the 21st Century (I.B. Tauris 2017). Amongst her board memberships, she’s a trustee of the Ethical Journalism Network and on the content board of UK broadcast regulator OFCOM. Zahera was a TV journalist in her native country Lebanon, reporting for local and international organisations and anchoring news and current affairs programmes. She’s been a member of the Royal Television Society Journalism Awards jury for three consecutive years. Zahera was a finalist of the Asian Women of Achievement Awards, 2018. Tom Felle is a senior lecturer in print and digital journalism and leads data journalism and social media journalism teaching at City, University of London. 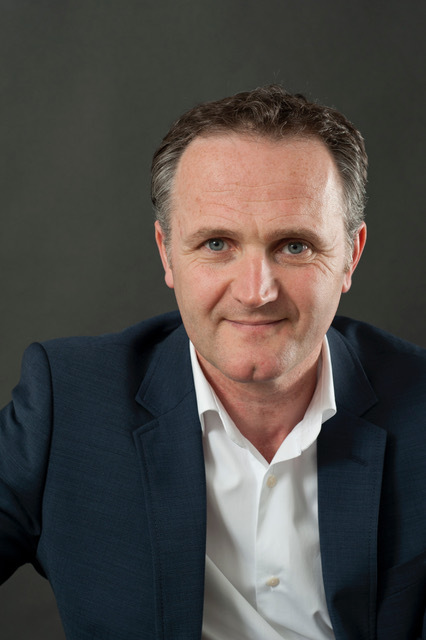 Before coming to City, he was worked for a decade as a reporter covering politics and as a regional correspondent at the Independent in Dublin, as Bureau Chief for the Leb News Agency in Beirut, and as Deputy Editor of the Irish Echo in Sydney. He has contributed to a number of books on local newspapers, press regulation and digital journalism. Tom has co-edited two books on Freedom of Information and another on data journalism. He was appointed by the Irish Government to sit on a national expert committee examining the Freedom of Information Act in Ireland in 2013. Professor Suzanne Franks is head of the department of Journalism at City, University of London. She started her career as a BBC TV trainee, and moved to work on programmes such as Newsnight, Watchdog, The Money Programme and Panorama. She edited election programmes, budget coverage and live special programmes such as the party conferences. In the 1990s she started an independent production company, Sevenday Productions, which amongst other things was awarded the first outside contract for the televising of Parliament. She was based in Westminster, responsible for all the coverage from the Lords, Commons and committees until 2001. The company also developed a web business specialising in political coverage and was awarded the first webcasting contract from Downing Street. Professor Sir Paul Curran is President of City, University of London. A former former NASA research scientist and advisor to the European Space Agency (ESA), his award-winning work in ecological Earth observation, involving the use of satellite sensors to monitor the environment, is published widely. 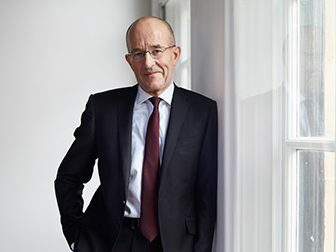 He joined City in 2010, having served as Vice-Chancellor at Bournemouth University and Deputy Vice-Chancellor at the University of Southampton. City joined the University of London federation in September 2016. Sir Paul was knighted in the 2016 New Year Honours for ‘services to higher education’. Lindsey Blumell is a lecturer at City, University of London. She specializes in human rights representation in news, with a special emphasis on gender. She has largely focused on how sexual violence against women is portrayed in traditional and new media. This includes publications in Journalism Studies and Feminist Media Studies. She is also a co-executive producer of a documentary about survivors of college sexual assault, entitled Good Girls Don’t Tell. Kate Kinninmont is CEO of Women in Film and Television UK. A BBC trained award-winning TV producer and director, Kate is a member of BAFTA, the Royal Television Society, Women in Journalism, and Directors UK. 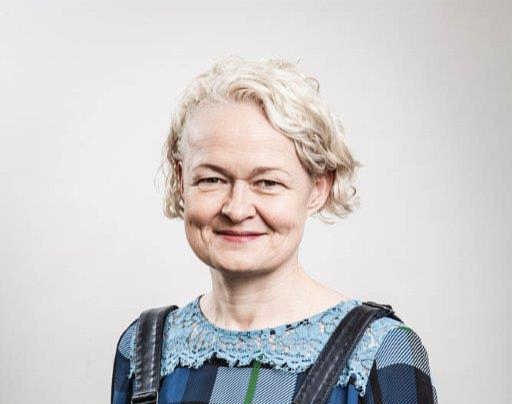 She is a Fellow of the Royal Society of Arts, a Woman of the Year alumna, a special advisor to the European Women’s Audiovisual Network, and visiting Professor of Gender in Media at the University of Hertfordshire. In 2014 Kate was awarded an MBE in the Queen’s New Year Honours List for services to women in the film and television industry and was made an Honorary Associate of the London Film School. In 2017, she was awarded a Doctorate of Arts by Bournemouth University. 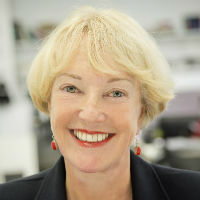 Professor Jane Singer is Director of Research and Professor of Journalism Innovation in the Department of Journalism at City, University of London. 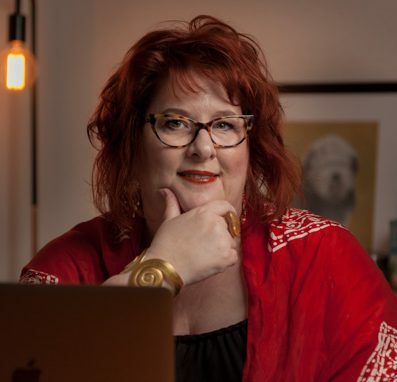 A former print and online journalist, she has been studying journalists’ responses to digital technologies since the mid-1990s. Professor Singer is especially interested in the impact of digital media on journalists’ roles, norms, practices and products. Her previous academic appointments have been at the University of Central Lancashire, the University of Iowa, and Colorado State University. 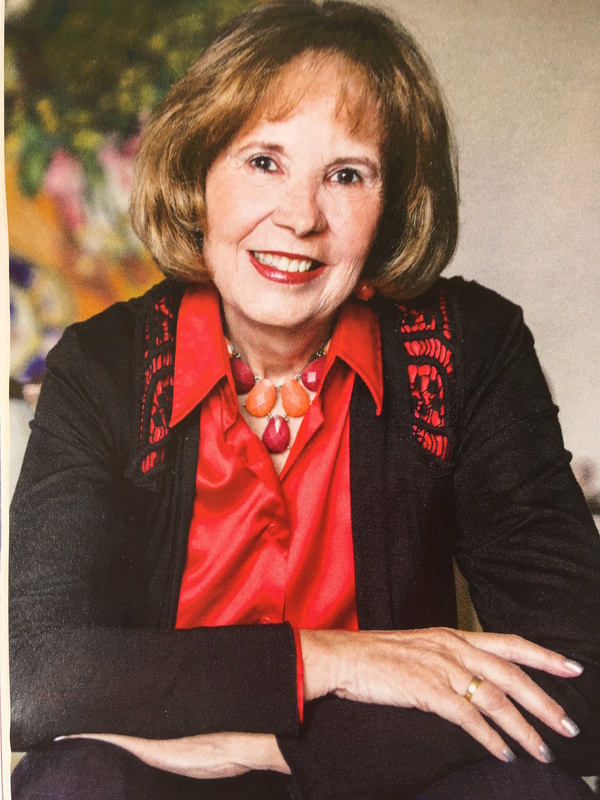 She has worked as a print newspaper reporter and editor and served as the founding news manager of the first national online service in America. Professor Jane Martinson is the Marjorie Deane Professor of Financial Journalism at City, University of London. She has worked as a financial journalist for the Financial Times and the Guardian, which she joined as the US business correspondent. 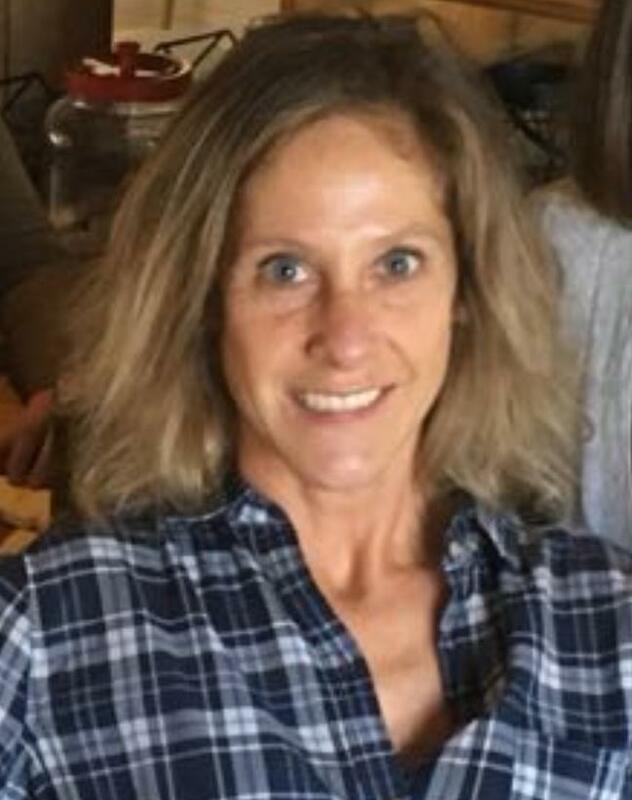 She spent 18 years as a member of the award-winning senior editorial leadership team at the newspaper, and her career included stints as city news editor and several years writing her own weekly interview slot, before becoming media editor and then head of media. Jane was was also women’s editor for many years and is still a Guardian columnist. She is a former chair of Women in Journalism, where she was responsible for a ground-breaking piece of research on the way women are portrayed in the media and was asked to give evidence to the House of Lords communications committee on the issue of diversity. 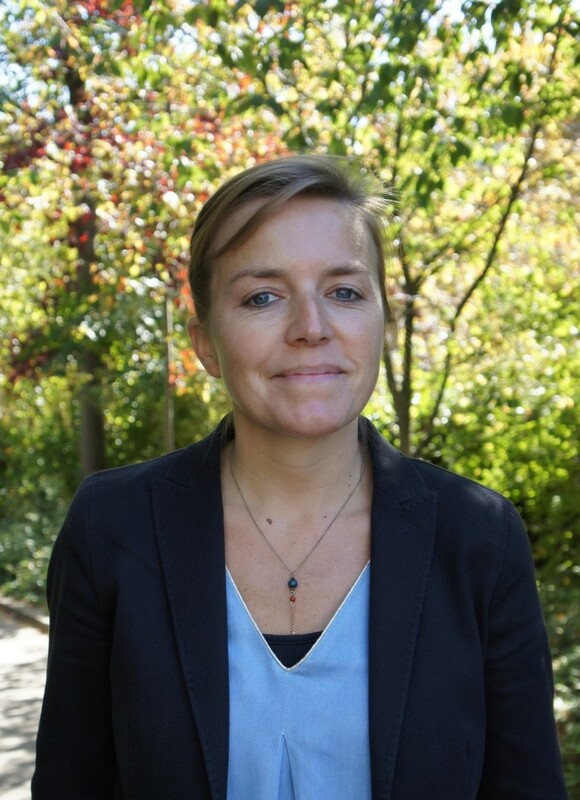 Greta Gober is a Postdoctoral Fellow at the Department of Media Studies at, Stockholm University. Her research interests revolve around gender, journalism & media, gender relations and culture in organisations as well as gender based violence, cyber violence and online harassment. Currently, she is looking at how media organisations are responding to online abuse of female journalists. She is a board member of the International Association of Women in Radio and Television, and a member of the Global Alliance on Media and Gender. Dr Dina Matar is head of the Centre for Global Media and Communications at the School of Oriental and African Studies, and until earlier this year was a visiting fellow at the London School of Economics. Before moving into academia, Dina had worked as a journalist and editor in the Middle East, Europe, Asia and the US. She is keen on bringing a non-Western approach to the theorisation and study of communication in its diverse forms, through focusing on the dynamics between media practices and socio-political contexts. Her more recent work has focused on narrative politics and cultural and media histories in Palestine. 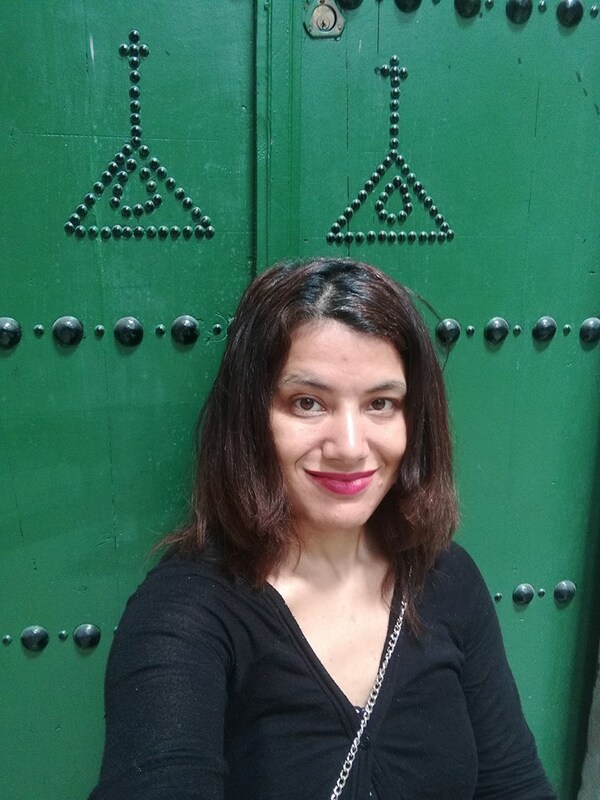 Dina is co-founder and co-editor of the Middle East Journal of Culture and Communication, the first trans-cultural and cross-disciplinary space for critical engagement with communication, culture and politics of the contemporary Middle East. Carly Watson is a News Editor for ITV News working both in the ITN newsroom and also in the field. She previously worked as Producer for GMTV and a freelance online producer for Reuters Thomson. She graduated from Staffordshire University with a BA in Broadcast Journalism. 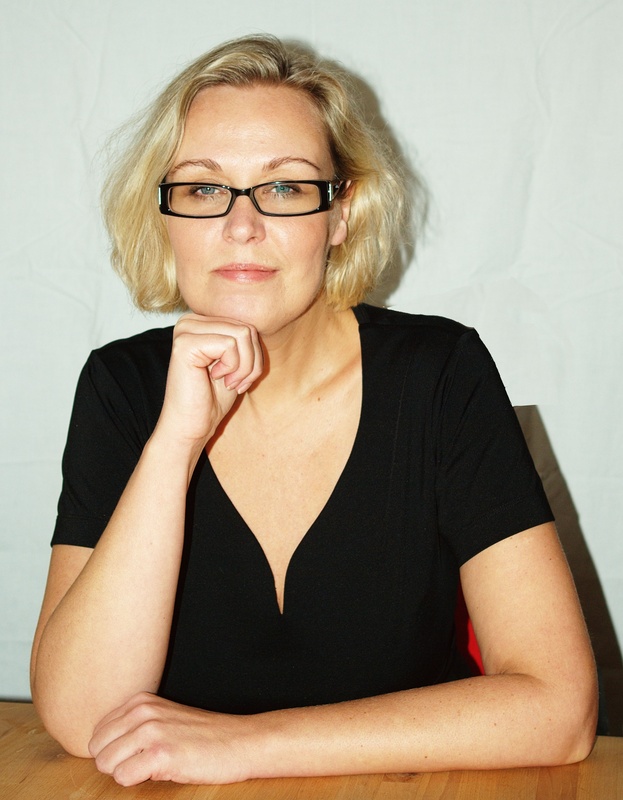 Anna-Klara Bratt is a Swedish journalist and editor-in-chief of Feministiskt Perspektiv, an online magazine which has more than 2,000 subscribers. Its open access articles reach over 100,000 readers monthly. She was formerly editor-in-chief of Arbetaren (The Worker) where she consciously worked to create a gender balance in the newsroom. She is co-author of the book Könsbalans. Så jobbar du jämställt – in English, Gender Balance. How to work gender equal (Mian Lodalen & AnnaKlara Bratt, DN förlag 2007). Arzu Geybulla (Kurtulus) is Azerbaijani columnist and journalist, with special focus on human rights and press freedom in Azerbaijan. Her work has been featured in several international publications, and she is the recipient of the 2014 Vaclav Havel Journalism Fellowship from Radio Free Europe/Radio Liberty. In 2014, Arzu was featured in the BBC’s 100 Women season. 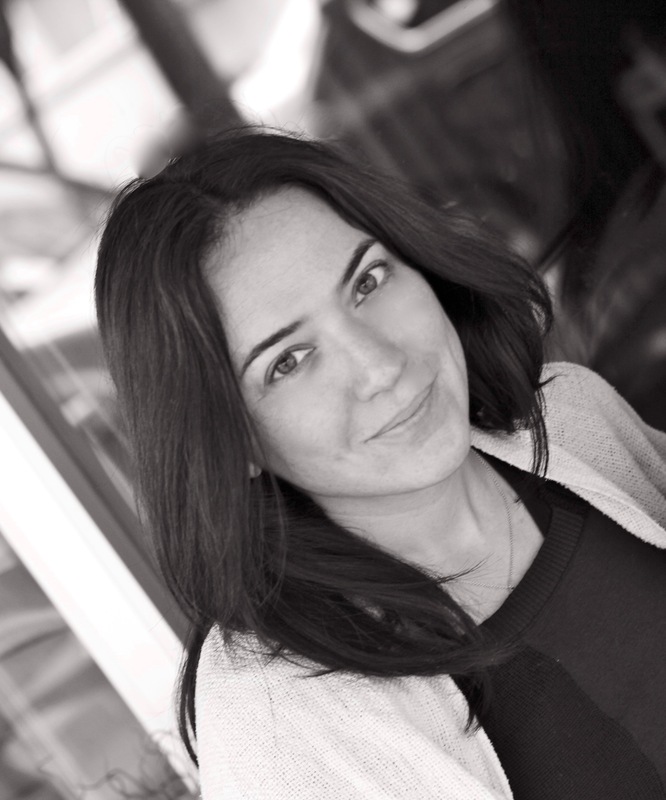 Arzu recently completed research on understanding information controls in Azerbaijan at Harvard. Currently, she is with the Prague Civil Society Center researching her upcoming book on Azerbaijani dissidents and political struggle. Barbara Trionfi is Executive Director at the Vienna-based International Press Institute, a global network of editors, media executives and leading journalists dedicated to safeguarding and fostering media freedom and promoting quality, independent journalism. She previously oversaw IPI’s global press freedom monitoring and coordinated its advocacy in this area, as well as working in the Asia Pacific region. She has a background in international relations and human rights, and her expertise is focused on press freedom, freedom of expression, including self-regulatory media accountability systems, safety of journalists and international mechanisms to protect press freedom. Caroline Bannock is The Guardian’s editor for Community and User Generated content, overseeing participatory journalism with readers. Before this she launched GuardianWitness, the newspaper’s award-winning open journalism platform, where readers from around the world submit videos, images and stories directly to journalists. Caroline was previously a senior news producer and acting foreign editor at Channel 4 News. She has worked on documentaries for Channel 4 and the BBC. 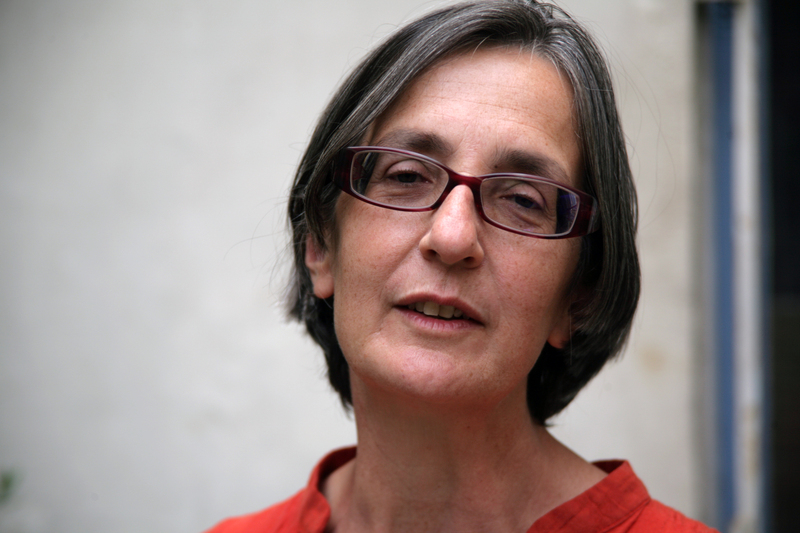 After the Windrush story broke, Caroline worked with Amelia Gentleman, whose reporting had revealed the enormous scale of the crisis, to collate the stories of the hundreds of people who had written in, and to investigate the ways in which the UK government’s hostile environment policy throws lives into disarray. Jennifer Adams is Media Freedom Project Officer in the Office of the OSCE Representative on Freedom of the Media, based in Vienna. She specialises in programme management and development, communications and policy research for internet governance, digital participation and community-building. 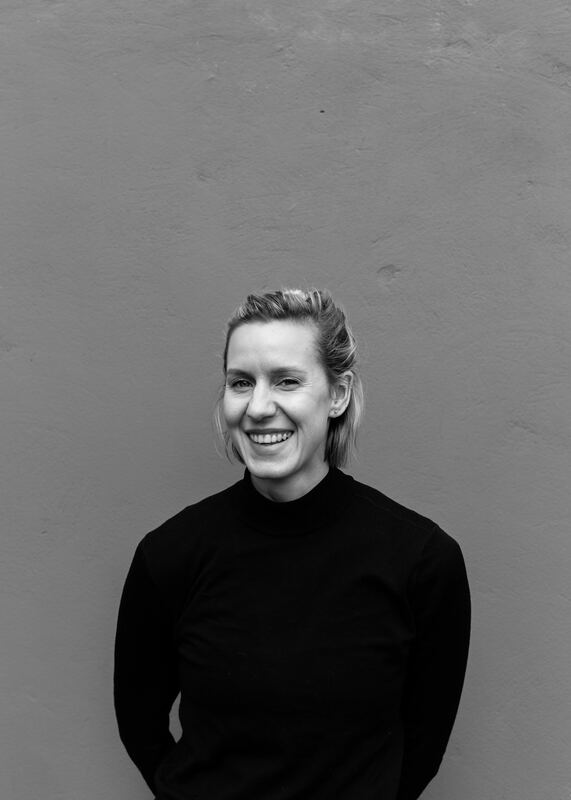 Jennifer is passionate about issues that lie at the intersection of human rights and digital innovation, with a focus on the safety and participation of marginalised communities online. Previously she’s worked in public relations for an independent film agency and as a communications consultant for international development organisations. Dr Julie Wheelwright is the programme director of the MA, Creative Writing non-fiction, which she founded in 2007. She currently also teaches on the BA, English at City, University of London. She is the author of three books, including The Fatal Lover: Mata Hari and the Myth of Women in Espionage, and a volume on female to male cross dressing which will be published by Bloomsbury (Osprey) in 2019. A former print and broadcast journalist, she has written widely on women in the intelligence services and in the military, for academic journals and more broadly. 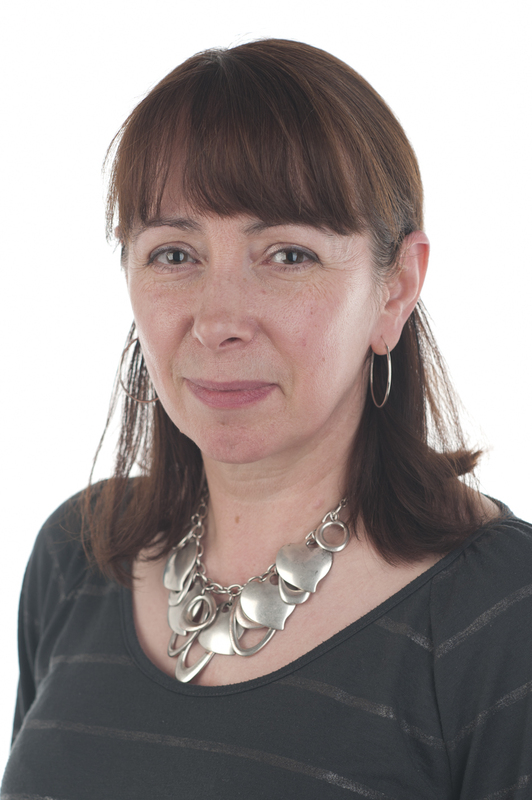 Louise has more than 25 years’ experience as a journalist in TV, radio and online. She’s currently managing editor of Sky News. Previous positions include senior news editor, senior programme producer, and editor of IRN which provides news for more than 300 UK commercial radio stations. Professor Lis Howell is a professor emeritus at City, University of London. She heads the Expert Women project which counts the number of women experts and authority figures used on six UK flagship news programmes. When she began this work in an informal way in 2012, authoritative women were sometimes outnumbered six to one on British news programmes. The figure is now just over two to one. Lis Howell is an award winning television journalist and was Director of Broadcasting at City. 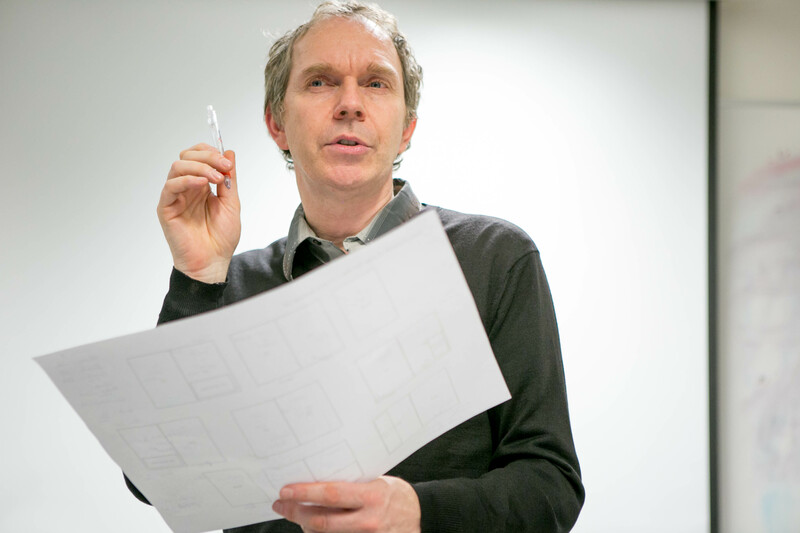 Richard Evans is programme director for undergraduate journalism at City, University of London. 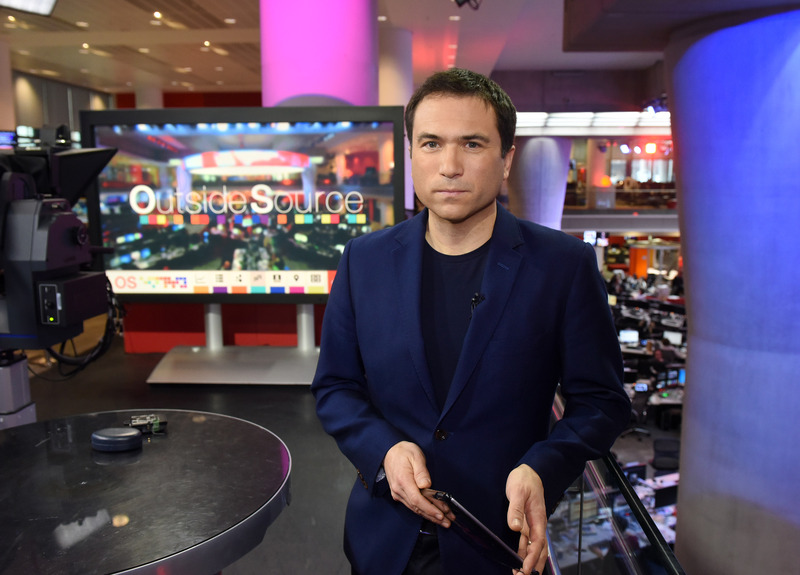 After an undergraduate degree in electrical engineering and a postgraduate diploma in journalism from City, he began a career which took him from local newspapers and local radio to the BBC. He presented Newsbeat on BBC Radio One for 12 years, on BBC Radio Five Live for thirteen years and has reported at home and abroad for BBC radio and television. He has an MA in Learning and Teaching in Higher Education and is a fellow of the Higher Education Academy. Saoussen Ben Cheikh is Country Manager at Internews, an international media development organisation supporting freedom of information around the globe. She leads a programme to support human rights and freedom of expression in the most closed and conflict-stricken contexts. She works with grassroots organisations in documenting human rights’ violations and covering local issues. She mentors and supports local media to develop capacity and sustainability as well as creating platforms for citizen participation in decision-making, dialogue and reconciliation. Prior to Internews, Saoussen worked in the field, leading humanitarian response in emergencies. 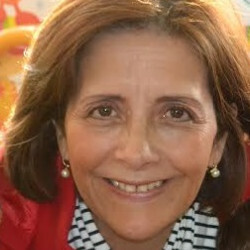 Verónica López is a Chilean journalist and publisher who has founded more than ten magazines in her country and abroad. 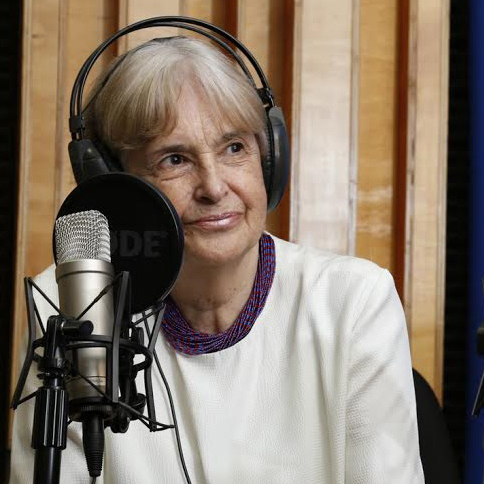 After forty years in business, she has written a book 40 Years in the Magazine Business, disclosing how those magazines were produced and how reporters and writers made their way in extremely difficult times under dictatorship. 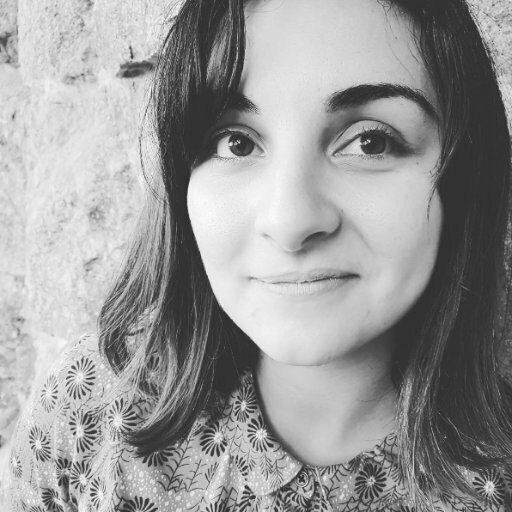 Verónica has won several journalism awards in Chile, including a Nieman Fellowship at Harvard University. She teaches journalism and is former secretary of the Women’s Association of Chilean Journalists. 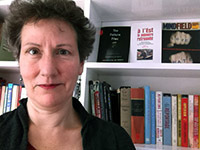 Susan L. Greenberg is senior lecturer in creative writing at the University of Roehampton, with a PhD in Publishing from University College London. Her research focuses on narrative non-fiction, particularly our understanding of objectivity and subjectivity, and on publishing history and editorial practices. Previously, Susan worked as a reporter, writer and editor, including several years as a correspondent in central and eastern Europe. She is a founding member of the International Association for Literary Journalism Studies and a member of its advisory board. Publications include: The Polish School of Reportage (in Keeble, R. L. and Tulloch, J. (eds); Global Literary Journalism: Exploring the Journalistic Imagination (Peter Lang, 2012); and A Poetics of Editing (Palgrave Macmillan, 2018). Professor Liu is Professor of Communications at National Chengchi University (NCCU) in Taiwan where she’s been working for 26 years. She was the former vice President for Research and Development, and served as one of its first-term Commissioners from 2006 to 2008. 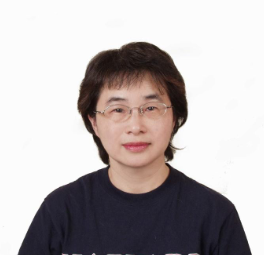 Professor Liu has also had professional experience working in radio and TV, and earned her PhD in telecommunications at Indiana University in the USA. As well as collaborating with many international academic institutions, she is on the board of Radio Taiwan International, and is a member of the Media Ethics Commission of CTS, TVBS, and Eastern TV Channel. 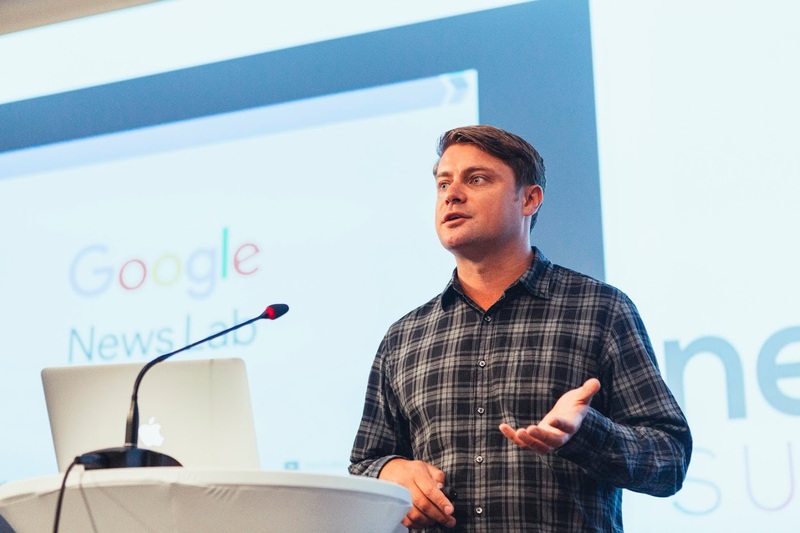 Matt Cooke is Head of Partnerships and Training at the Google News Lab – a global team dedicated to working with journalists to provide training, collaborating on industry challenges, and supporting innovation in the newsroom. 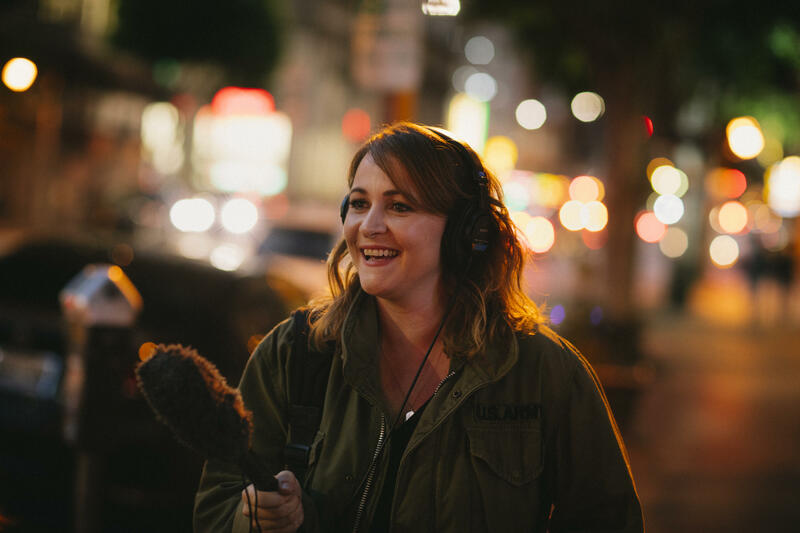 Kelly McEvers is the host of Embedded, NPR’s podcast that takes stories from the news and goes deeper. Kelly has also co-hosted All Things Considered, NPR’s award-winning afternoon news magazine. Kelly McEvers is the host of Embedded, NPR’s podcast that takes stories from the news and goes deeper. Kelly has also co-hosted All Things Considered, NPR’s award-winning afternoon news magazine. She has been a national and international correspondent, and ran NPR’s Beirut bureau, where she earned a George Foster Peabody award, an Alfred I. DuPont-Columbia award, a Gracie award, and an Overseas Press Club mention for her 2012 coverage of the Syrian conflict. She has travelled extensively and covered the Middle East, the former Soviet Union, and Southeast Asia, as well as the US. Her writing also has appeared in The New York Times Magazine, Esquire, Foreign Policy, The New Republic, The New York Review of Books, The Washington Monthly, Slate and the San Francisco Chronicle. Bay Fang supervises Radio Free Asia’s coverage across all of Asia. She has a 20-year career in journalism, most recently as the Diplomatic Correspondent for the Chicago Tribune. 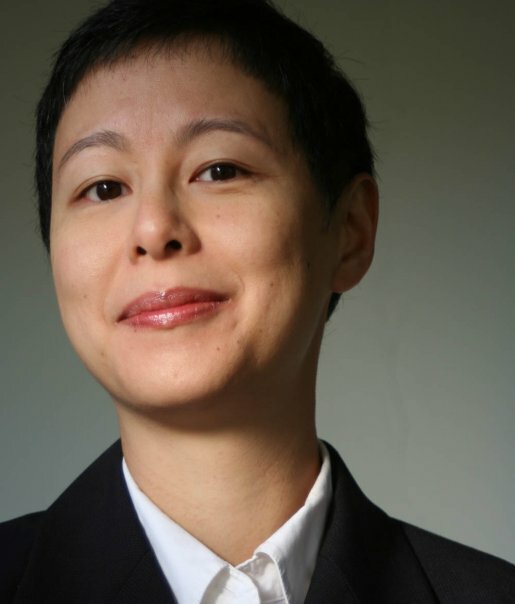 Bay Fang is the Executive Editor of Radio Free Asia, supervising coverage across all of Asia. A longtime journalist and former diplomat, she served in the Obama administration as a Deputy Assistant Secretary of State, overseeing public diplomacy and public affairs for Europe and Eurasia. She has a 20-year career in journalism, most recently as the Diplomatic Correspondent for the Chicago Tribune. Prior to that, she covered the wars in Afghanistan (2001-2002) and Iraq (2003-2004) for US News and World Report magazine. 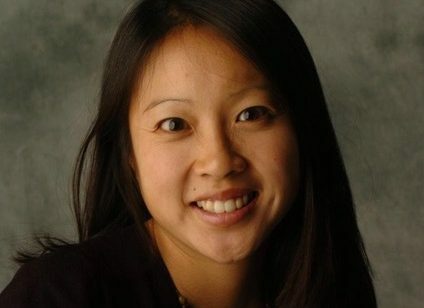 She started her career as the Beijing Bureau Chief for US News and World Report, where she won the Robert F. Kennedy journalism award for her story China’s Stolen Wives. 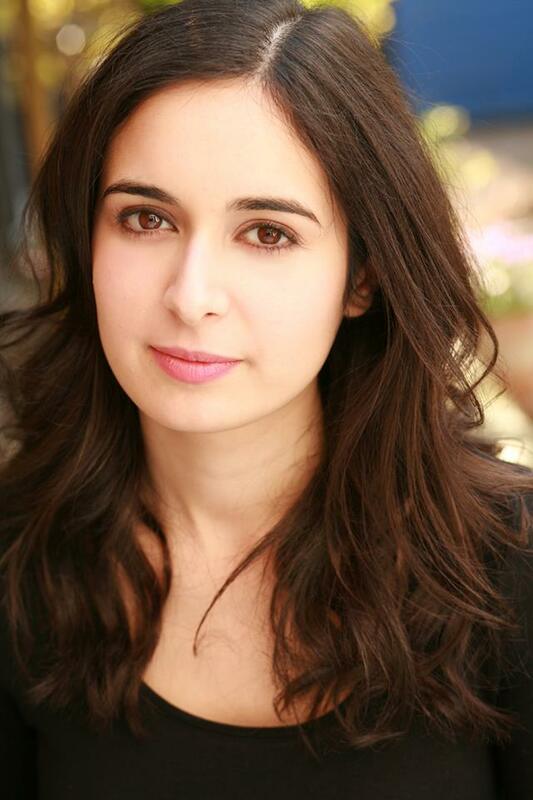 Camila Ruz is a senior journalist with BBC Digital Current Affairs. She produces investigative documentaries and is currently the virtual reality editorial lead for BBC Stories. Camila directed their first interactive VR experience, Is Anna OK? Deborah is head of training and communications at the media development and training organisation, the Thomson Foundation. She runs training sessions across the globe most recently in mobile journalism and storytelling. Elena Tarifa Herrero is a journalist and expert in gender and communication, and gender equality public policies. She is a co-founder of La Independent, the first newsagency with a gender perspective in Catalonia, Spain. 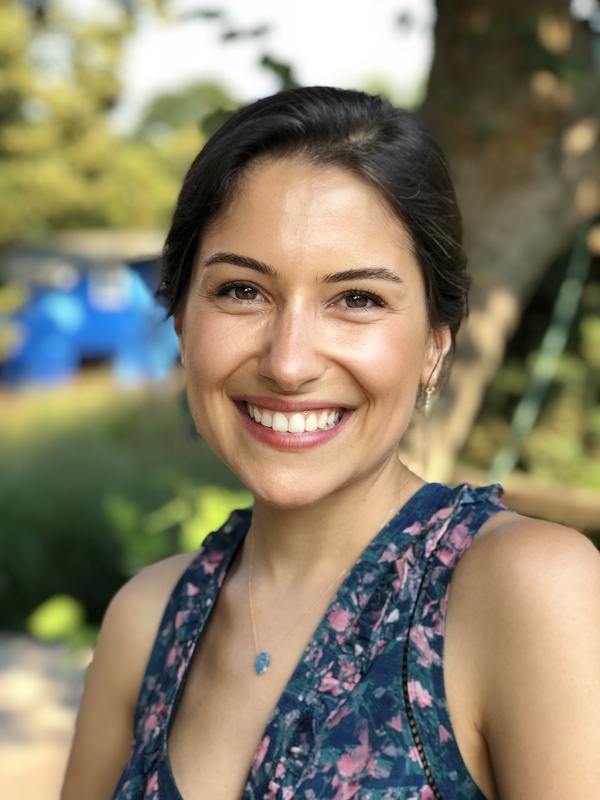 Hannah is an expert in the safety of women journalists and co-authored No Woman’s Land: On the Frontlines with Female Reporters and Violence and Harassment Against Women in the News Media, amongst other publications. Professor Herng Su has long been interested in the interaction between traditional media, new media and public policy in Taiwan. Professor Su was formerly a newspaper journalist, and served as the Chair of the National Communications Commission from 2010 to 2012. Jess played an integral role in HuffPost UK’s ambitious ‘HuffPost Listens’ project, which involved moving the 45-strong team to an open newsroom in Birmingham’s Bullring shopping centre. 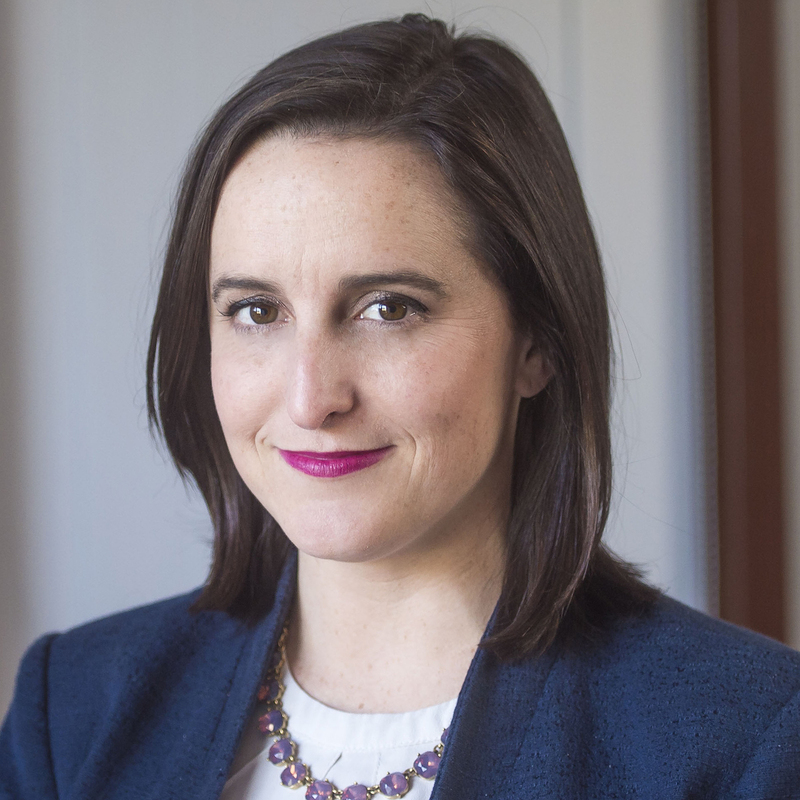 Julie Posetti is the author of Protecting Journalism Sources in the Digital Age and co-editor of Journalism, ‘Fake News’ and Disinformation. Julie spent two decades as a news editor, documentary reporter and political correspondent for the Australian Broadcasting Corporation. Leonor has won six international prizes, including from the Thomson Foundation, Circom Regional (European network of regional public televisions) and Mojofest. She was among the first journalists to shoot and edit entire documentaries and long form stories with a mobile phone. Max Murrain is a filmmaker with an interest in storytelling, emerging technologies and journalism. 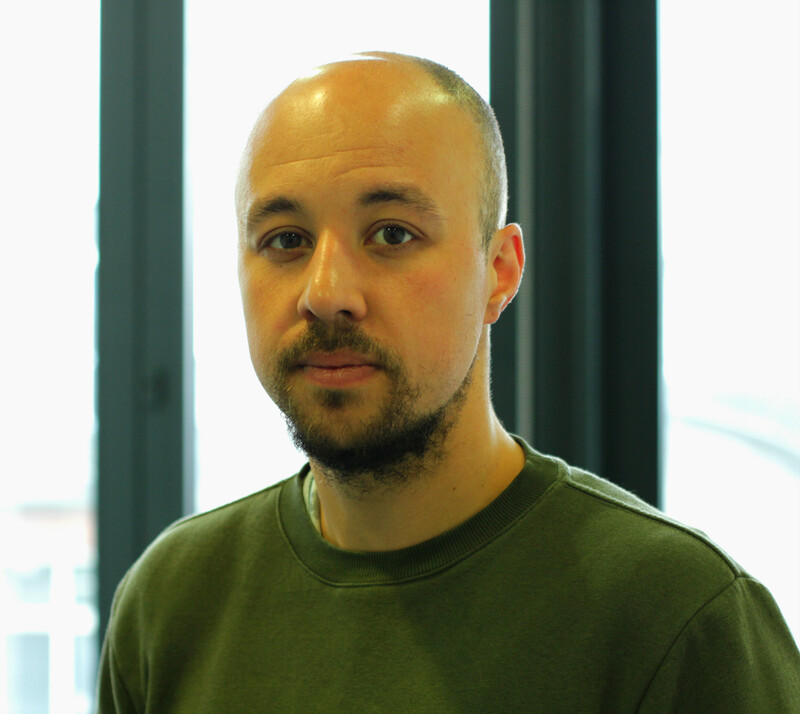 He is currently working in story telling and journalism with the BBC in its Digital Current Affairs department, is workingon the research and coordination of short-form documentaries for digital platforms. Rob McGibbon is a freelance journalist, who has worked across various sections of the media for the past 30 years. His principal focus has been writing celebrity interviews for national newspapers. Sue Greenwood is a senior lecturer in the Journalism department at Staffordshire University. She is the author of Future Journalism: Where we are and where we’re going (Routledge), which analyses significant trends and practices shaping contemporary journalism and its future. Yuen is a journalist who has worked in print, television and radio as a reporter, anchor, presenter and columnist based in Hong Kong, Shanghai and Beijing. Yuen’s work has appeared in many international outlets. She has recently relocated to London and is currently working on a Hong Kong-themed book. Yumna Al-Arashi’s work has been featured in many major publications such as Vogue, the New York Times, Artsy, Dazed&Confused, i_D, Vice, HuffingtonPost, The Cut, the National Abu Dhabi. Sarah Redohl is currently the editor of VR/AR/MR news site ImmersiveShooter.com and a producer for StoryUp, an XR company that has produced content for major media outlets and blue chip companies like Google and Facebook. Saorla McCabe’s work focuses on activities aimed at monitoring, protecting against and preventing attacks against journalists, within the framework of the UN Plan of Action for the Safety of Journalists. Radharani Mitra formulates strategies to tell stories using new and legacy media to bring about social and behavioural change. She has won several Indian and international awards including at Cannes, a GSMA Global Award, and a Vodafone Mobile for Good Awards. In 2016, she co-authored the seminal report The State of Automated Factchecking and regularly speaks in the UK and internationally about misinformation, factchecking, and civic technology. 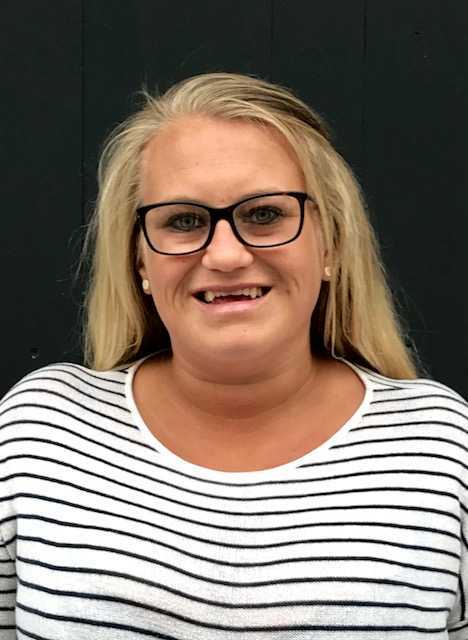 Katie Sanders is based at the Poynter Institute for Media Studies, she helps assign and edit PolitiFact’s coverage of the White House, Congress and Florida politics. Ian Reeves is deputy head of the Centre for Journalism at the University of Kent, where he teaches digital storytelling, among other things. Ian is author of the Newspapers Handbook and is a former editor of Press Gazette. 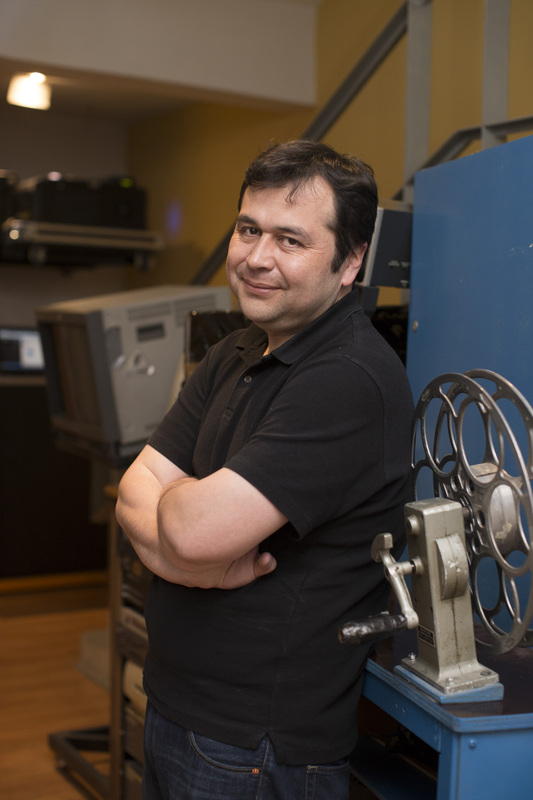 Gonzalo Maza is an award-winner Chilean screenwriter, director and producer. His film Una Mujer Fantástica was awarded the Academy Award for Best Foreign Film in 2018. 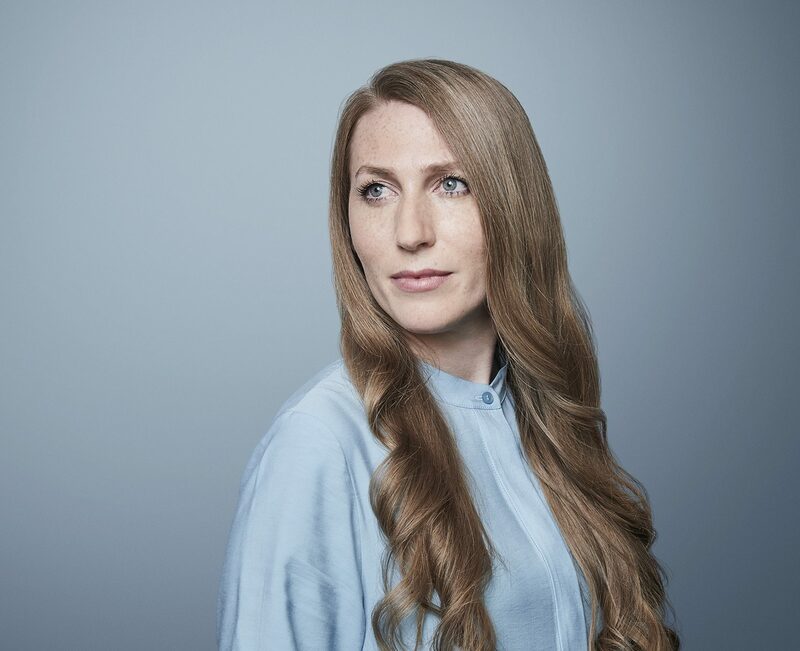 Eliza Mackintosh is the project coordinator for As Equals, a CNN series funded by the European Journalism Centre which looks at the challenges women face in the world’s least developed countries. Carmen Luz Parot is a journalist and documentary filmmaker from Chile. Her 2015 TV documentary series Chile en LLamas: El Arte de la Censura (Chile on Fire: The Art of Censorship) was named the Best Television Show in Chile by TV critics. Camila Ruz is a senior journalist with BBC Digital Current Affairs. She produces investigative documentaries and is currently the virtual reality editorial lead for BBC Stories. Camila directed their first interactive VR experience, Is Anna OK? She trained as a zoologist and has worked as a science presenter and reporter for outlets such as The Guardian and BBC Click Radio. Deborah is head of training and communications at the media development and training organisation, the Thomson Foundation. She runs training sessions across the globe most recently in mobile journalism and storytelling in Belarus, India and Kazakhstan. 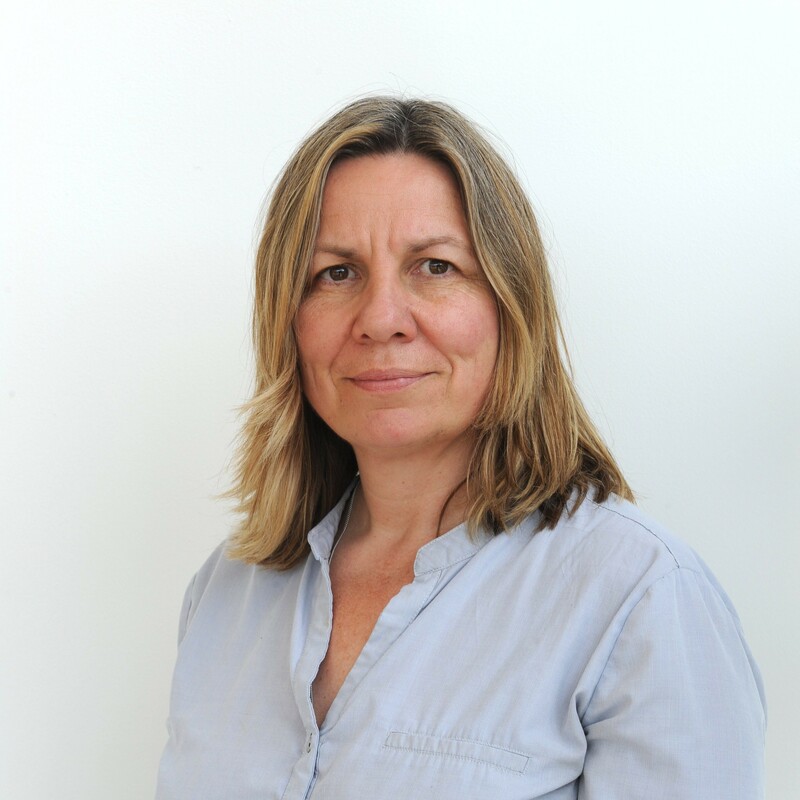 Previously Deborah held senior editorial roles at the UK’s commercial news broadcaster ITV News and worked as a programme editor for Al Jazeera English. She has also worked for Reuters and the BBC. She is a Fellow of the UK’s Higher Education Academy. 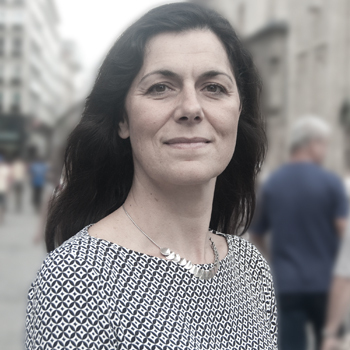 Elena Tarifa Herrero is a journalist and expert in gender and communication, and gender equality public policies. She’s a member of the Europe Secretariat of the Global Alliance on Media and Gender, and member of the executive board of the Spanish Federation of Journalists Unions. She is a co-founder of La Independent, the first newsagency with a gender perspective in Catalonia, Spain. Hannah Storm is a British journalist, specialising in media, gender and safety. She is the director of the International News Safety Institute (INSI), and previously spent more than a decade as a journalist mainly overseas. 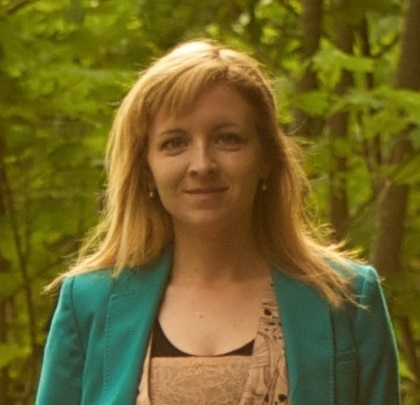 Hannah is an expert in the safety of women journalists and co-authored No Woman’s Land: On the Frontlines with Female Reporters and Violence and Harassment Against Women in the News Media, amongst other publications. She also works as a freelance media consultant for different UN agencies with a specific focus on gender and the media, and is currently working with The Poynter Institute in the United States to design and deliver training to counter sexual harassment in newsrooms. 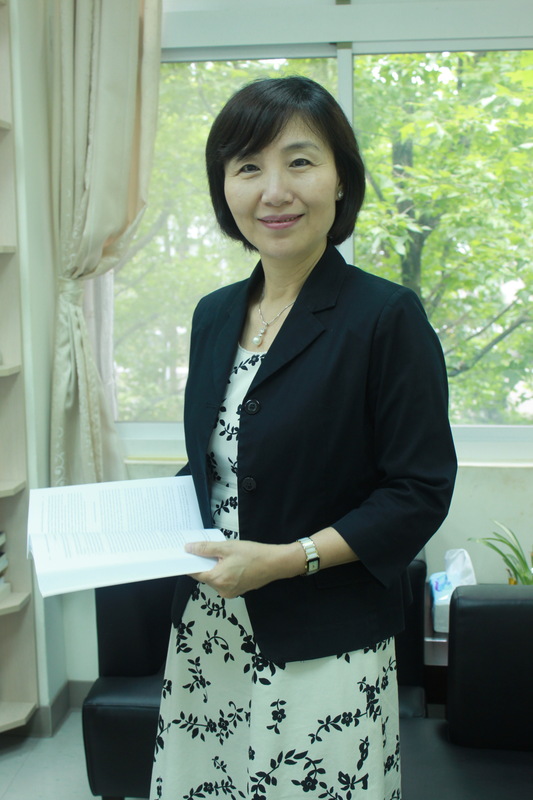 Professor Herng Su is currently a Professor and Acting Dean of the College of Communication, National Chengchi University, Taiwan. She has long been interested in the interaction between traditional media, new media and public policy in Taiwan. Professor Su was formerly a newspaper journalist, and served as the Chair of the National Communications Commission from 2010 to 2012. She writes a monthly op-ed column for the United Daily News. Jess Brammar is Head of News at HuffPost UK, responsible for leading all news coverage on the site and a team of news reporters and editors across the UK. Jess played an integral role in HuffPost UK’s ambitious ‘HuffPost Listens’ project, which involved moving the 45-strong team to an open newsroom in Birmingham’s Bullring shopping centre. Before this, she was Deputy Editor at BBC Newsnight, and worked in a number of senior roles and big stories on that programme including two UK general elections, the Brexit referendum and the victory of Donald Trump. Jess moved to Newsnight after working for ITV News and BBC Question Time. Julie Posetti leads the Journalism Innovation Project at the Reuters Institute for the Study of Journalism. She is the author of Protecting Journalism Sources in the Digital Age (UNESCO 2017) and co-editor of Journalism, ‘Fake News’ and Disinformation (UNESCO 2018). 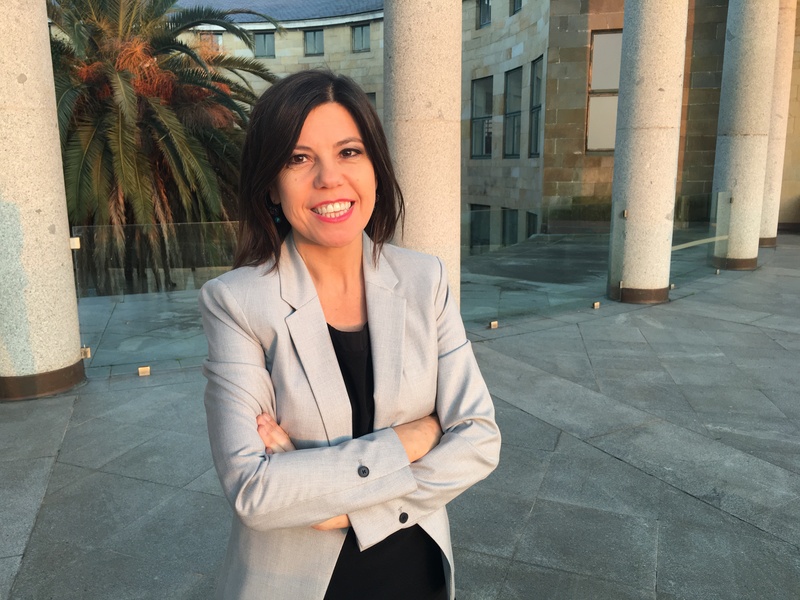 Julie has spent two decades in international journalism, and spent time as a news editor, documentary reporter and political correspondent for the Australian Broadcasting Corporation. 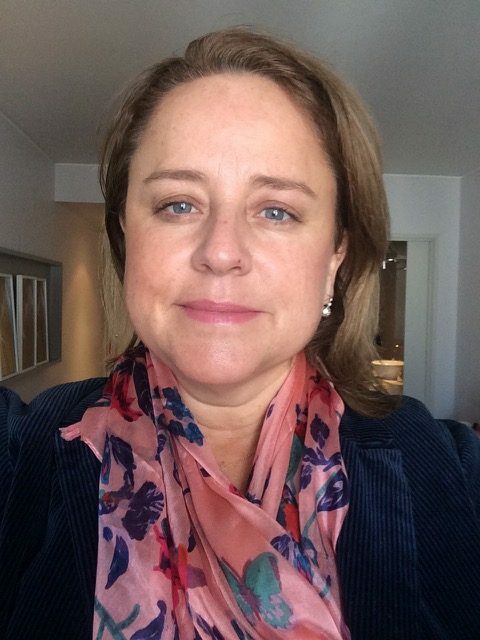 She was awarded the Australian Human Rights Awards for Radio for her coverage of Indigenous affairs, the resurgence of the ‘racist right’, and systemic child abuse in state care. More recently, her work has been published by The Atlantic, Harvard University’s Nieman Lab, the BBC, The Sydney Morning Herald and The Guardian. Leonor Suárez is a video journalist and news editor for public television in Asturias, Spain. She pioneered the use of mobile devices to shoot and edit stories for television. She has won six international prizes, including from the Thomson Foundation, Circom Regional (European network of regional public televisions) and Mojofest (the most important mobile journalism congress). She was among the first journalists to shoot and edit entire documentaries and long form stories with a mobile phone. Rob McGibbon is a freelance journalist, who has worked across various sections of the media for the past 30 years. His principal focus has been writing celebrity interviews for national newspapers. He is widely regarded as one of the best connected and trusted journalists in the showbiz arena. For the past seven years, Rob wrote The Definite Article, a popular weekly interview format he created for the Daily Mail’s Weekend magazine. Rob has also authored 12 celebrity biographies and is currently a partner in the film production company Scoop Films. Scoop’s third feature movie will be launched in early 2019. Rob has recently started teaching an interviewing skills masterclass to journalism students, and is working on a series of live interview events and podcasts. Sue Greenwood is a senior lecturer in the Journalism department at Staffordshire University. She is also Award Leader for Games Journalism and has a particular interest in the use of videogame technologies in telling news stories. She is the author of Future Journalism: Where we are and where we’re going (Routledge), which analyses significant trends and practices shaping contemporary journalism and its future. Before joining academia, Sue spent over 25 years working in the media; from newspapers to websites and community television. Yuen was until recently senior lecturer at the School of Journalism and Communication at the Chinese University of Hong Kong where she oversaw the English language student magazine and co-founded Hong Kong Journalism Educators for Press Freedom. She is a journalist who has worked in print, television and radio as a reporter, anchor, presenter and columnist based in Hong Kong, Shanghai and Beijing. Yuen’s work has appeared in many international outlets. She has recently relocated to London and is currently working on a Hong Kong-themed book. Yumna Al-Arashi is a story teller who believes in women telling their own narratives, in the power of beauty, and in the need for a fair representation of the stories which are so often left behind. Her work has received support from the Tribeca Film Festival, the National Portrait Gallery, the US Department of State Office of Art in Embassies, National Geographic, the Arab Fund for Arts and Culture, and International Women’s Media Foundation, and many more. Her work has been featured in many major publications such as Vogue, the New York Times, Artsy, Dazed&Confused, i_D, Vice, HuffingtonPost, The Cut, the National Abu Dhabi. Her past clients include Apple, NOWNESS, National Geographic, ASOS, Topic, Warner-Bros, and T-Mobile. 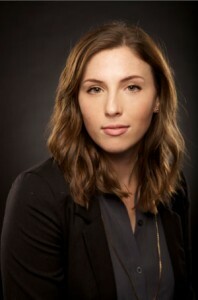 Sarah Redohl is a new media journalist focused on immersive and mobile storytelling. She is currently the editor of VR/AR/MR news site ImmersiveShooter.com and a producer for StoryUp, an XR company that has produced content for major media outlets and blue chip companies like Google and Facebook. Her immersive media work includes an international documentary about overcoming physical disabilities in Zambia, which appeared in the Washington Post and was displayed at the Newseum in Washington, D.C. She has also worked with the Army, Navy, Air Force, and Marines to create a film that allowed aging women veterans the opportunity to see the U.S. Women’s Memorial in virtual reality. Sarah has won regional and national awards for her visual storytelling, and is recognised as one of Folio: Magazine’s 15 Under 30 young professionals driving media’s next-gen innovation. Saorla McCabe joined UNESCO in 2005 and is a programme specialist in its division for Freedom of Expression and Media Development. Her work focuses on activities aimed at monitoring, protecting against and preventing attacks against journalists, within the framework of the UN Plan of Action for the Safety of Journalists. She is responsible for projects that address the specific risks faced by female journalists, both online and offline. Saorla is in charge of the organisation of World Press Freedom Day, a flagship awareness raising celebration involving some 100 events worldwide each year. Since 2012, she supports UNESCO’s media development activities in Palestine. Radharani Mitra is global creative advisor at BBC Media Action, the BBC’s international NGO that uses media and communication for development. She formulates strategies to tell stories using new and legacy media to bring about social and behavioural change. 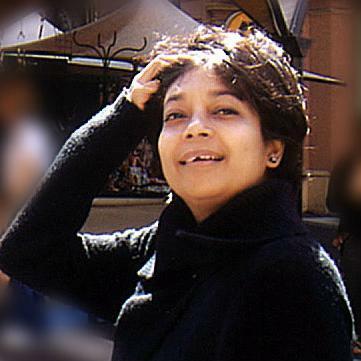 Her unique and impactful communication interventions include the Condom Ringtone; the TB Superhero Bulgam Bhai (Mr Sputum); the Mr Plan-Plan radio drama series during the Ebola epidemic in Africa. She has played a key role in designing BBC Media Action’s mHealth innovations that have been scaled up nationally by the Government of India. Her work has won several Indian and international awards including at Cannes, a GSMA Global Award, a Commonwealth Broadcasting Association Award, a Global Health Award, and a Vodafone Mobile for Good Awards. Mevan Babakar is Head of Automated Factchecking at the UK’s leading fact checking charity, Full Fact. In 2016, she co-authored the seminal report The State of Automated Factchecking and regularly speaks in the UK and internationally about misinformation, factchecking, and civic technology. Mevan is a digital adviser to the Big Lottery Foundation, a board member of the civic engagement non-profit Democracy Club, and a founding organiser of Citizen Beta, a community of civic technologists in the UK. During a previous role, she launched Britain’s first ever National Voter Registration Day. To date this has registered over a million young people to vote. Katie Sanders is the managing editor of PolitiFact, the non-partisan fact checking website started by the Tampa Bay Times. Now based at the Poynter Institute for Media Studies, she helps assign and edit PolitiFact’s coverage of the White House, Congress and Florida politics. In 2013, she helped launch PunditFact to fact-check talking heads and opinion shapers of the media. She previously covered the Florida Legislature for the Tampa Bay Times and Miami Herald. Ian Reeves is deputy head of the Centre for Journalism at the University of Kent, where he teaches digital storytelling, among other things. He designed and built CfJ’s live publishing website – centreforjournalism.co.uk. He is a director of KMTV, the Ofcom-licensed digital terrestrial television service for Kent. Ian is author of the Newspapers Handbook and is a former editor of Press Gazette. He oversaw the magazine’s move into web publishing and was responsible for developing the Student Journalism Awards, the Magazine Design and Journalism Awards, the Press Cadets project, and the National Newspaper Hall of Fame. He is also co-editor of the books What Future For Channel 4? and What is Local?. Gonzalo Maza is an award-winner Chilean screenwriter, director and producer. He wrote, with director Sebastián Lelio, four films: Navidad (2009, premiered in Cannes Director’s Fortnight); El Año del Tigre (2011, Official Competition at the Locarno Film Festival); Gloria (2013) and Una Mujer Fantástica (A Fantastic Woman, 2017), both in Official Competition at the Berlin Film Festival. Una Mujer Fantástica was awarded the Academy Award for Best Foreign Film in 2018. His work in this film got a Silver Bear for Best Screenplay, and Gloria also received a Platino Award (Ibero-American Academy Awards) for Best Screenplay. Currently, Gonzalo Maza is finishing his first feature as director. 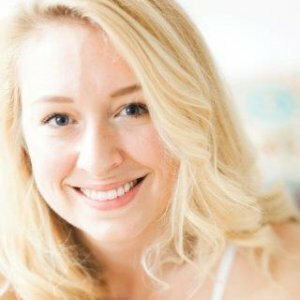 Eliza Mackintosh is a London-based digital producer covering Europe, the Middle East and Africa for CNN International. She is also the project coordinator for As Equals, a CNN series funded by the European Journalism Centre which looks at the challenges women face in the world’s least developed countries. 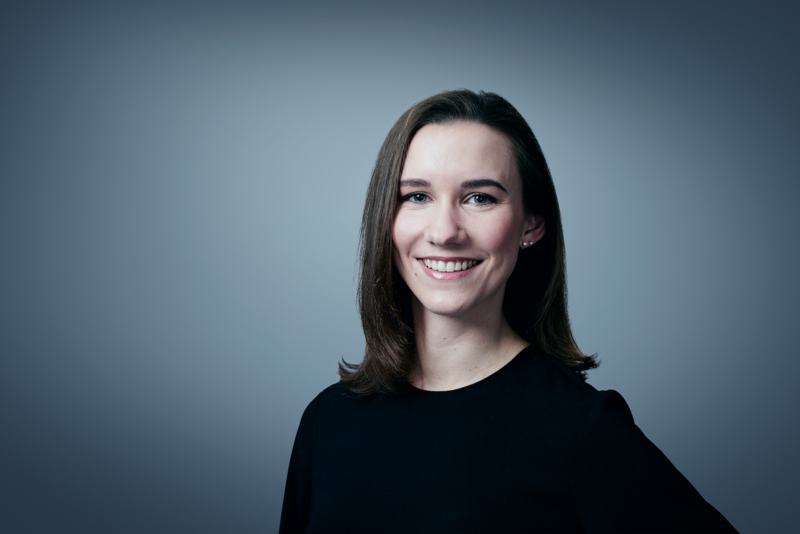 Mackintosh joined CNNI in 2016 from Storyful, where she worked as a digital journalist and managed strategic news partnerships as part of the company’s UK expansion. She has also reported for the Washington Post. She has given talks on social media verification at Polis, the journalism think-tank at the London School of Economics and Political Science, MIT Media Lab, and the Global Editors Network Summit. Carmen Luz Parot is a journalist and documentary filmmaker from Chile. Her works include Victor Jara: El derecho de Vivir en Paz (Victor Jara: The right to live in peace) about a Chilean protest singer, and Estadio Nacional (National Stadium) about Santiago’s football stadium as a concentration camp in the first days of Pinochet’s regime. Her 2015 TV documentary series Chile en LLamas: El Arte de la Censura (Chile on Fire: The Art of Censorship) was named the Best Television Show in Chile by TV critics. Professor Karen Cox took up the joint roles of Vice-Chancellor and President of the University of Kent last year. Before that, Karen was Deputy Vice-Chancellor at the University of Nottingham, a post she took up in 2013. Professor Karen Cox took up the joint roles of Vice-Chancellor and President of the University of Kent last year. Before that, Karen was Deputy Vice-Chancellor at the University of Nottingham, a post she took up in 2013 after periods as pro-Vice Chancellor and head of the School of Nursing and Midwifery. 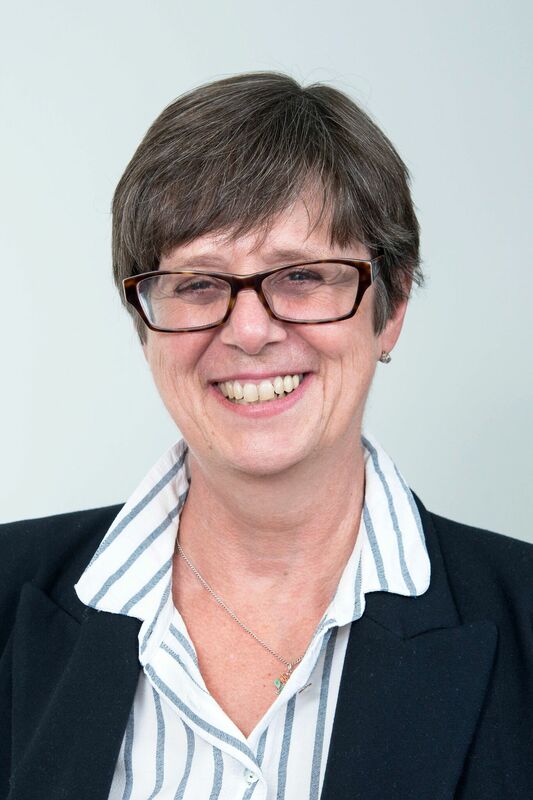 Karen is on the Board of the Nursing and Midwifery Council, the UK regulator for over 675,000 Nurses and Midwives across England, Wales, Scotland and Northern Ireland. Fi Glover is a radio journalist for the BBC. Having started her career in local radio, she has presented programmes for BBC Five Live, Radio 2 and now Radio 4 where she hosts the Listening Project, an ambitious oral history project in conjunction with the British Library. Fi Glover is a radio journalist for the BBC. Having started her career in local radio, she has presented programmes for BBC Five Live, Radio 2 and now Radio 4 where she hosts the Listening Project, an ambitious oral history project in conjunction with the British Library. She also hosts the Fortunately podcast. For the BBC World Service she hosts My Perfect Country, a show aimed at creating an ideal country using only bits of the world that actually work. Fi also writes for Waitrose and has published a book about local radio stations around the world called I am An Oil Tanker. 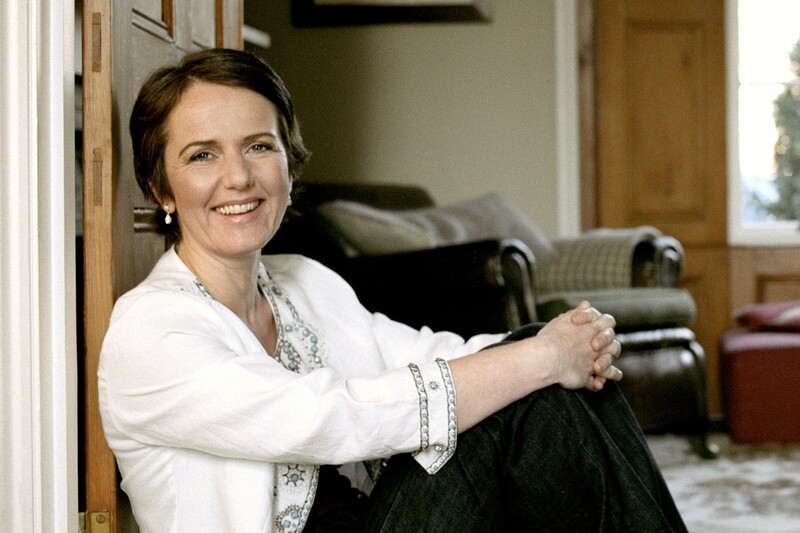 Fi has chaired the Orange Prize for Women’s Fiction as is a Fellow of the Radio Academy. 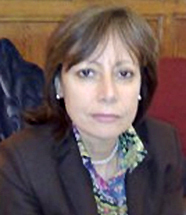 Beatriz Sanchez is an award winning Chilean journalist and politician. A year ago she quit her job to run in the presidential race in Chile. 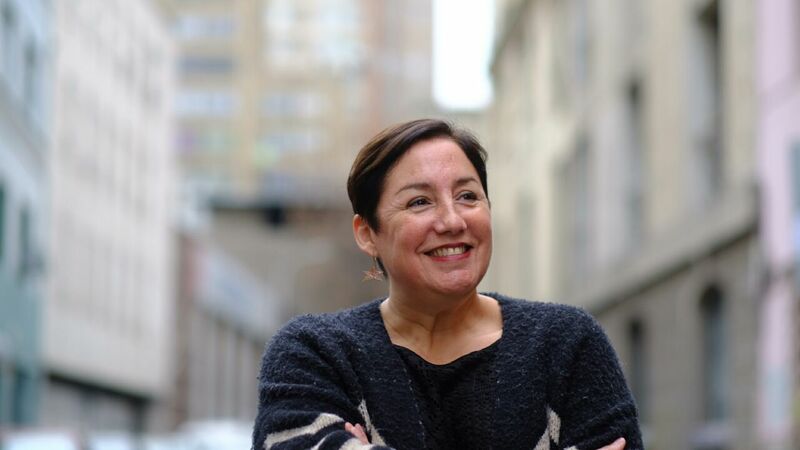 Beatriz Sanchez is a Chilean feminist, journalist and politician. She studied journalism at the Universidad de Concepción, and in 2014 was awarded the Universidad Alberto Hurtado’s prize for best television journalist. A year ago she quit her job to run in the presidential race in Chile. She headed a new group of parties and leftist movements called Frente Amplio. Her party got 20.3% percent of the vote in what is traditionally a two-party system. Roxana Ibarra is an experienced Chilean business journalist, working for the newspaper El Mercurio and other publications. She’s a partner at the company Update Content, Information and Analytics. 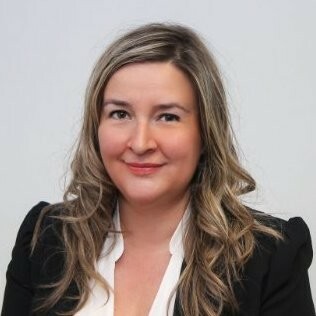 María José Acuña is an international strategic communications executive, with more than 20 years experience in mass communications in the retail, entertainment and media industries across Latin America. Eliza Anyangwe is community organiser at Bureau Local. She’s also the founder of The Nzinga Effect, a media project focused on telling the stories of women across Africa and the diaspora, online and offline. 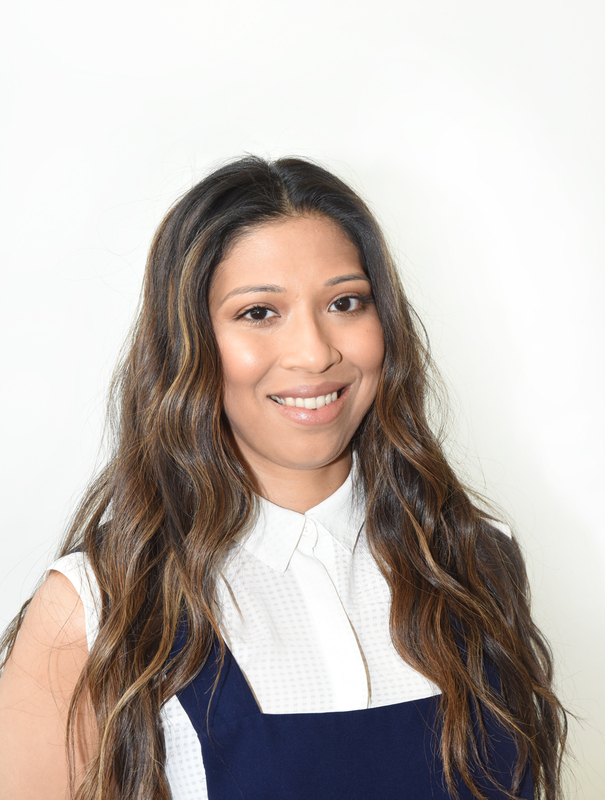 Janice Pereira is a Social Media and Community journalist with the Audience Development team at The Times and The Sunday Times. Cait FitzSimons has planned coverage for a general election and two referendums focusing on how people across the country felt about the political parties and their policies. 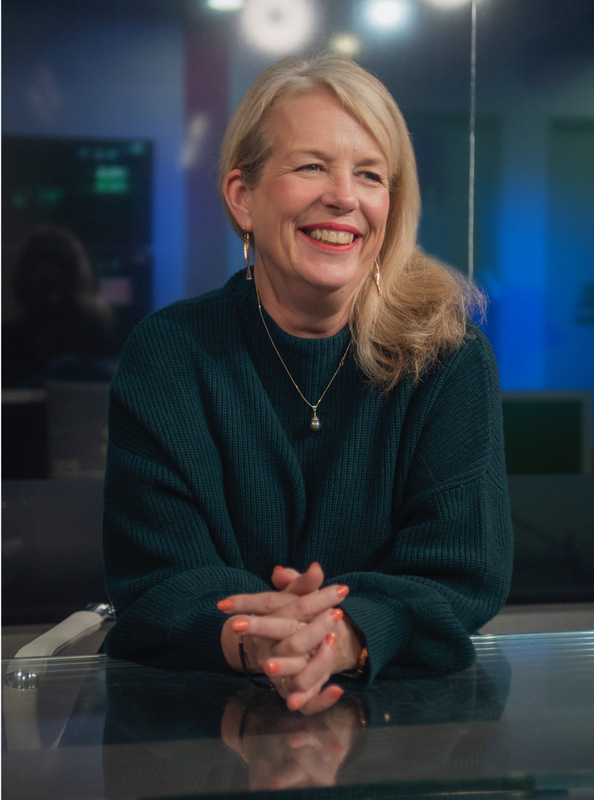 Robin Britton has built three newsrooms, launched websites and social media services and worked with news teams to find the best way to introduce new technology and workflows. Roxana Ibarra is an experienced Chilean business journalist, working for the newspaper El Mercurio and other publications. Roxanna has spent several years as an executive producer for political and lifestyle radio programmes. She’s a partner at the company Update Content, Information and Analytics. Roxanna is a simultaneous interpreter in English and French, and director of the French Chamber of Commerce magazine. María José Acuña is an international strategic communications executive, with more than 20 years experience in mass communications in the retail, entertainment and media industries across Latin America. She’s experienced across the areas of marketing and corporate branding, strategic communications, creative writing and editing. 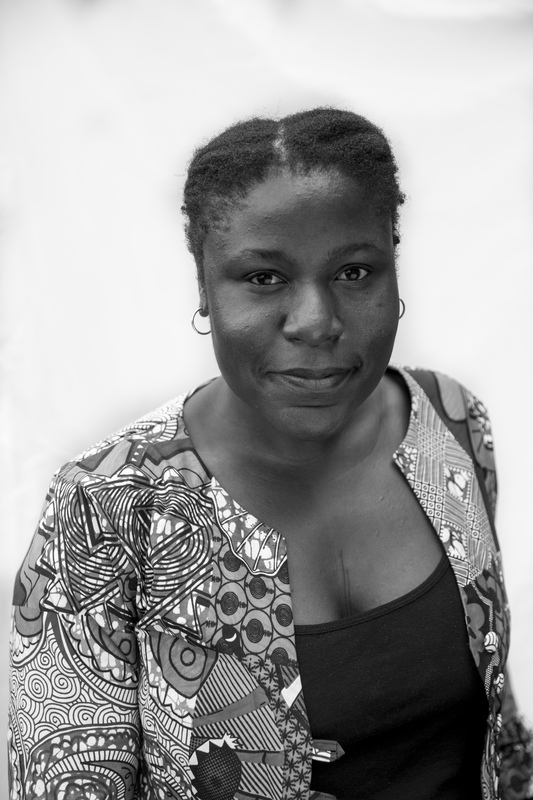 Eliza Anyangwe is community organiser at Bureau Local – a collaborative, investigative network revealing stories that matter to communities across the UK. She’s also a freelance writer and editor for a range of publications, and founder of The Nzinga Effect, a media project focused on telling the stories of women across Africa and the diaspora, online and offline. Eliza previously worked for The Guardian where she was editor of the Global Development Professionals Network. Eliza has hosted events and conferences, and is a regular speaker at media, international development and tech events. She’s a guest lecturer on the international relations and communications programme at IULM in Milan, is part of the European Journalism Centre’s News Impact Network. She is a fellow of the Royal Society for the Arts. 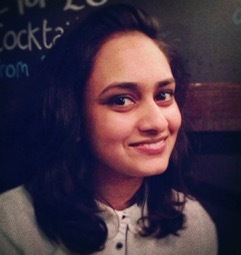 Janice Pereira is a Social Media and Community journalist with the Audience Development team at The Times and The Sunday Times. Janice previously interned at Greenpeace’s journalism unit, Unearthed, and completed her BA in Social Anthropology at the University of Kent. 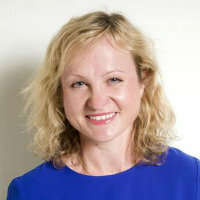 Cait Fitzsimons became Editor of 5 News at the beginning of this year, after several years as deputy Editor. She’s planned coverage for a general election and two referendums focusing on how people across the country felt about the political parties and their policies. She has also worked for Sky News, and was the assistant Programme Editor for ITV News’ coverage of the wedding of the Duke and Duchess of Cambridge, and also the coverage of the 2010 election. She’s also spent time on the road, working on Sky News’ coverage of the Asian Tsunami from Thailand and the death of Pope John Paul II from Poland. 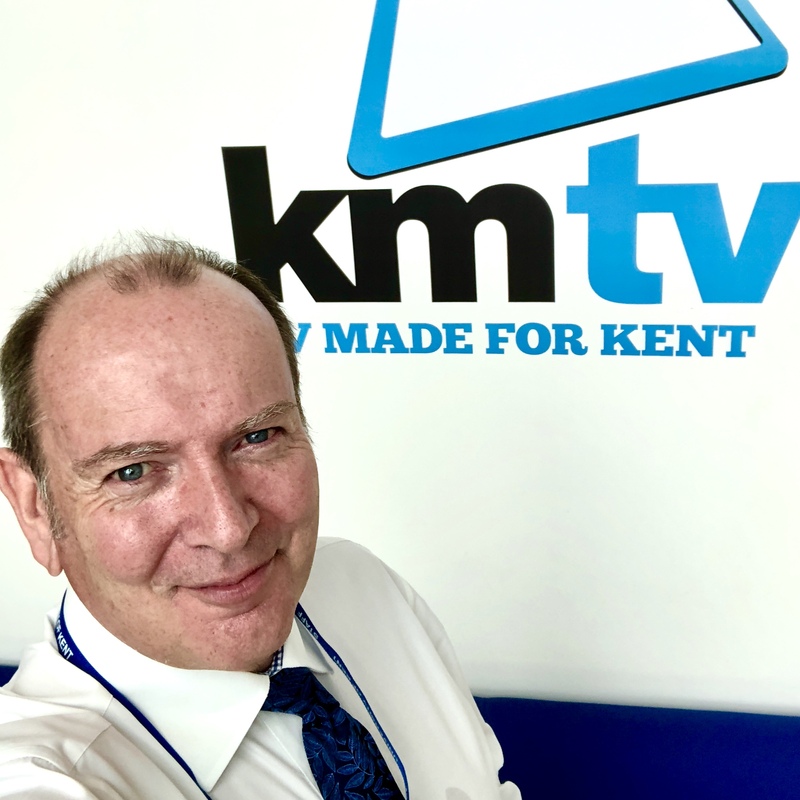 Robin Britton is Channel Director of KMTV, the local TV station which is jointly owned by the University of Kent, the KM Media Group, and Kent Online. Before that, he was ITV’s news chief for the South, South East & Thames Valley. Robin has built three newsrooms, launched websites and social media services and worked with news teams to find the best way to introduce new technology and workflows. Robin has worked with schools, community groups and organisations like Creative Access and the Creative Diversity Network to make the newsroom team look more like the news output’s potential audience.